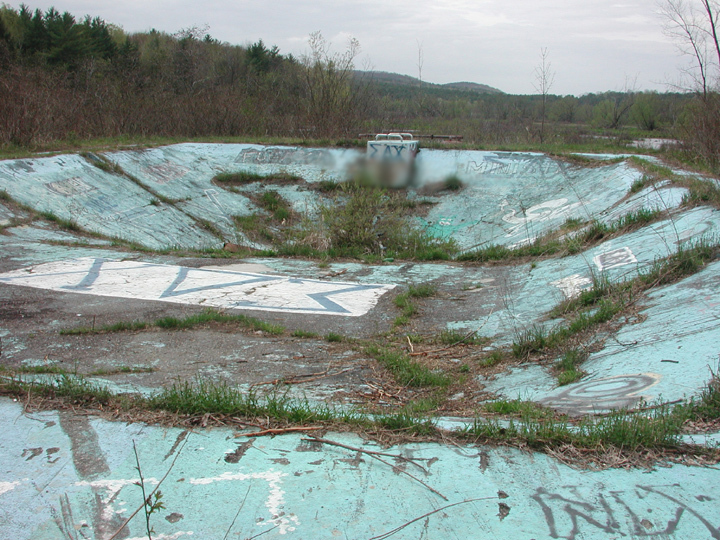 Birdseye Mountain, located in Castleton, VT, is the site of a fascinating lost ski area. 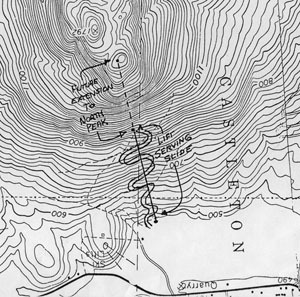 There is plenty of history of this mountain, and this NELSAP article has the most historic pictures of any other lost area on the site! 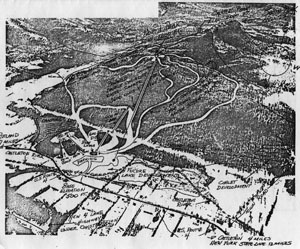 In this article, you'll learn the history of and see pictures of the construction of the mountain, two very unique lifts plus a beginner rope tow, plans for expansion that unfortunately did not work, and the area today. As mentioned, there are lots of pictures, so please by patient in loading this article. All historic pictures are courtesy of Bill Jenkins, all recent photos are from Jeremy Davis. We'll start off by looking at a general history, Bill's memories/story, historic photos, then current photos. 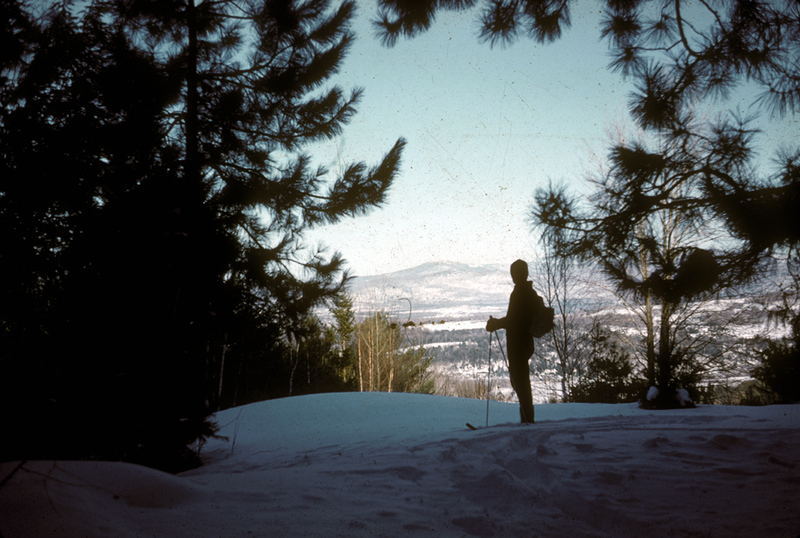 March 1963, from the highway looking at north peak face. Click on image for larger version. 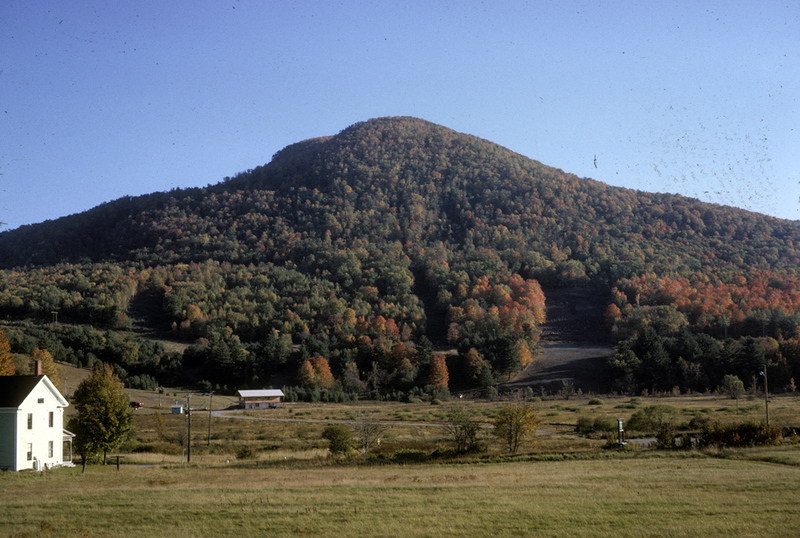 A view of the mountain in the early 1960's. Click for larger. 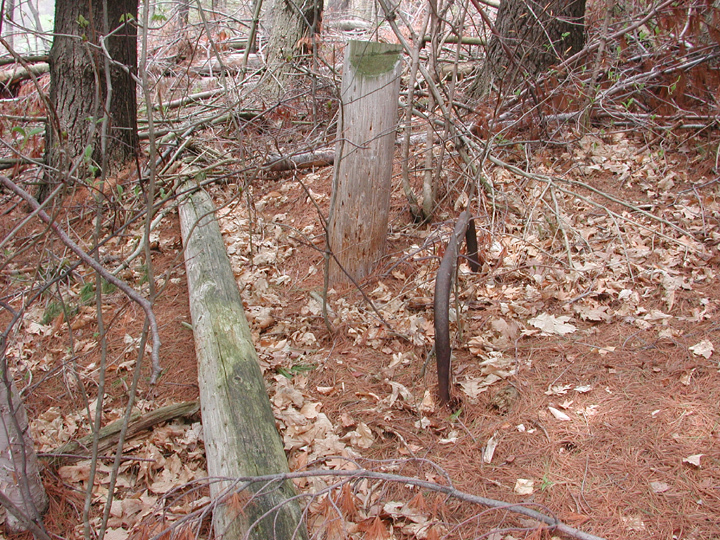 This lost ski area was founded by Bill Jenkins, along with a board of directors, in 1961. These include Stan Brzoza of West Rutland; Harold Blittersdorf of Pittsford; Malcolm Williams from Poultney; and Herman Dederer of Shelburne. 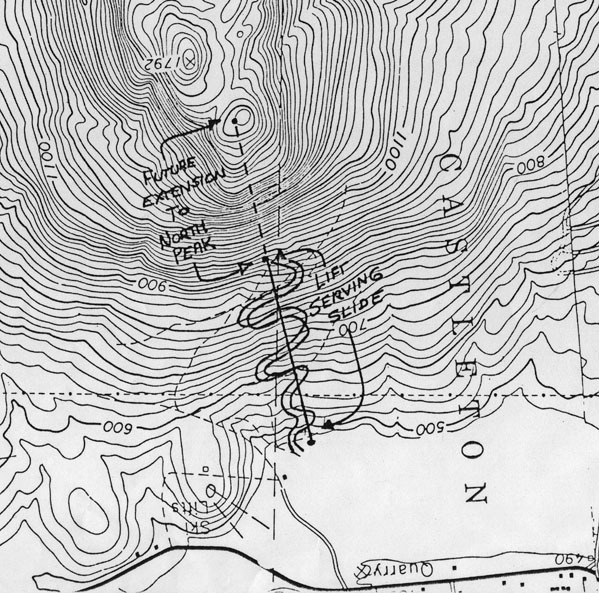 You will be able to learn all about Bill's development and history at the mountain below. 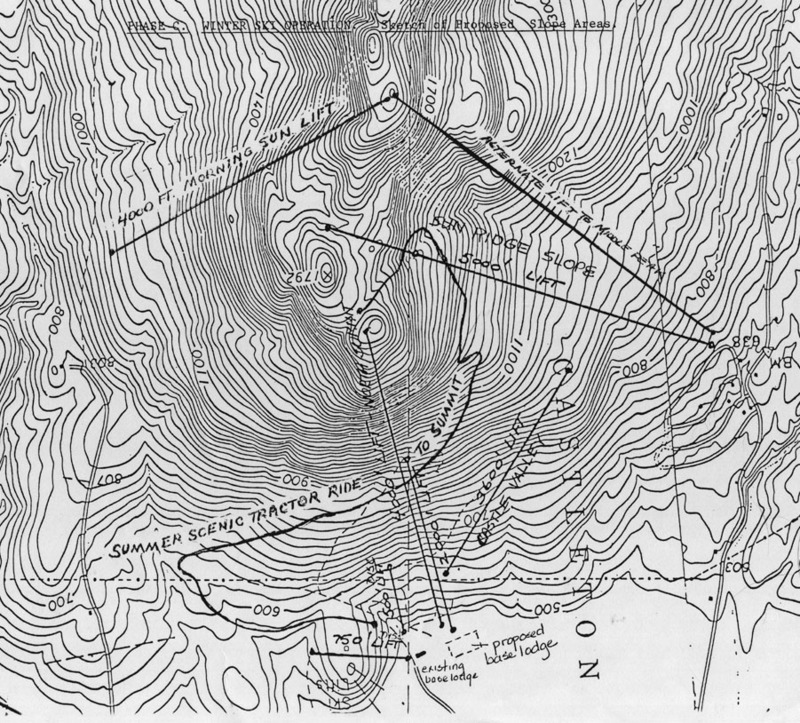 The area was constructed on the north side of Bird Mountain, just off Route 4 (now 4A). 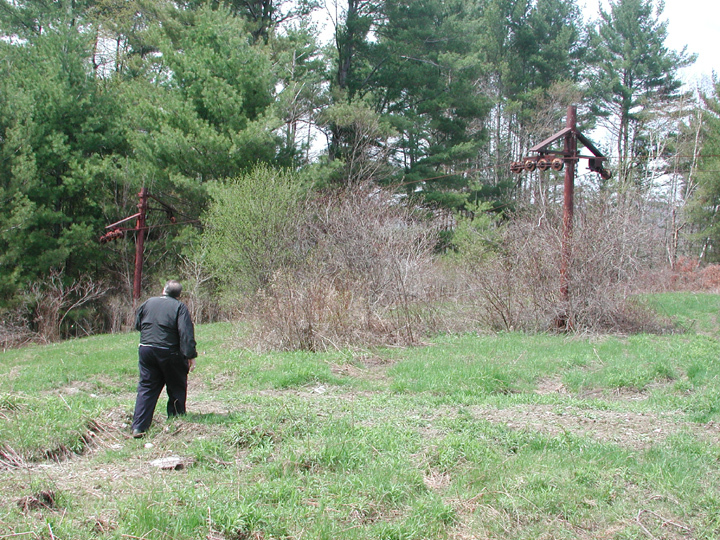 It was easily accessible from eastern New York and the Rutland area. The mountain range there is the northern end of the Taconics, and is geologically very different from the nearby Green Mountains. The north face starts off gradual near the base, but rises dramatically near the summit - with nearly vertical cliffs in spots! The area is not known for its heavy snow, and is actually located in one of the least snowiest parts of the state, averaging only near 60-70" a year. 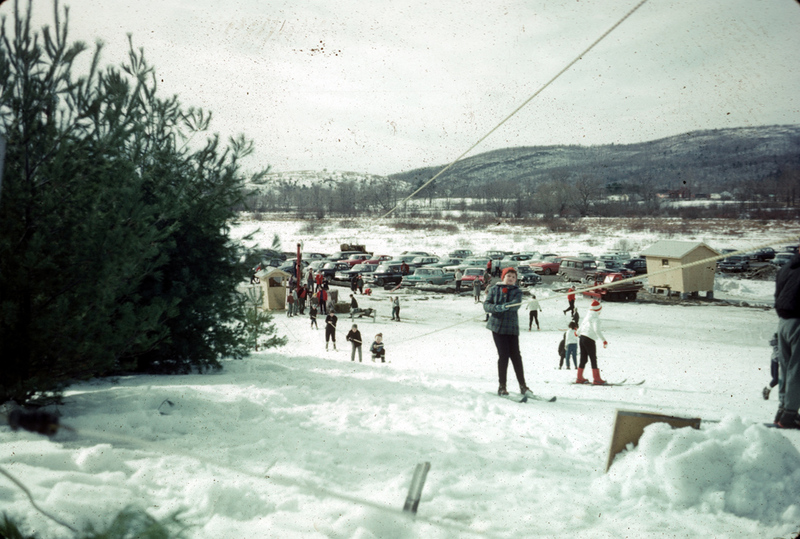 Birdseye opened in early 1962 with a rope tow serving a small beginner slope as well as a Stabil Disc Lift. This is a lift that Bill Jenkins developed. It is a safer form of a Pomalift, and does not detach. The cable did not derail, and the individual hangars had a flexible tube, instead of rigid metal pole, for comfort and flexibility. 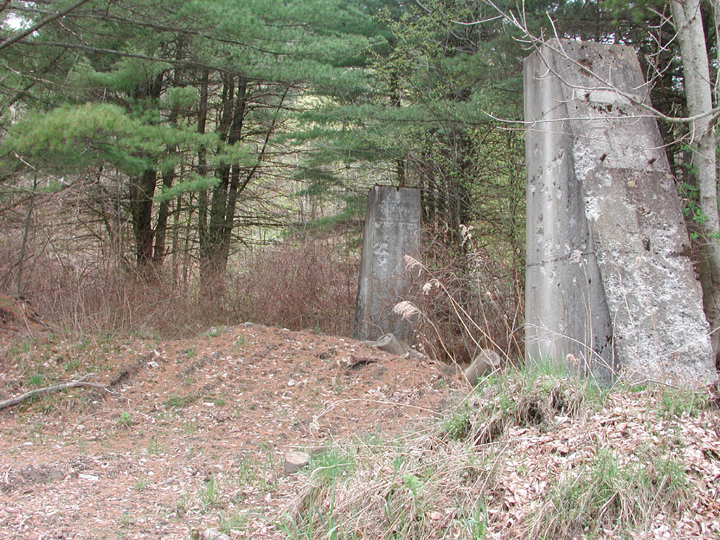 The Stabil Disc Lift served a wide open slope that faced west, and was 750' long, and had about 150' of vertical. A 40 meter jump was also available. 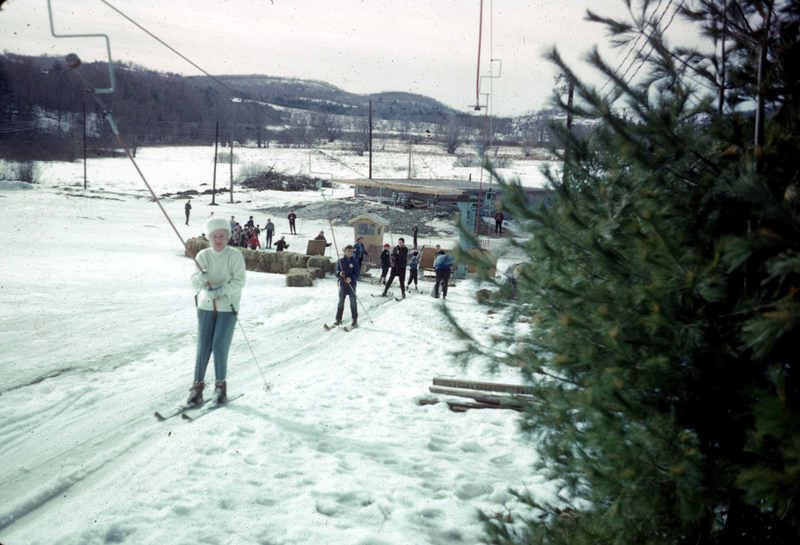 A lodge with a restaurant and ski shop/rentals was also built. The following year, a second Stabil Disc Lift was built, 600' long, and was called the North Face Disc Lift. 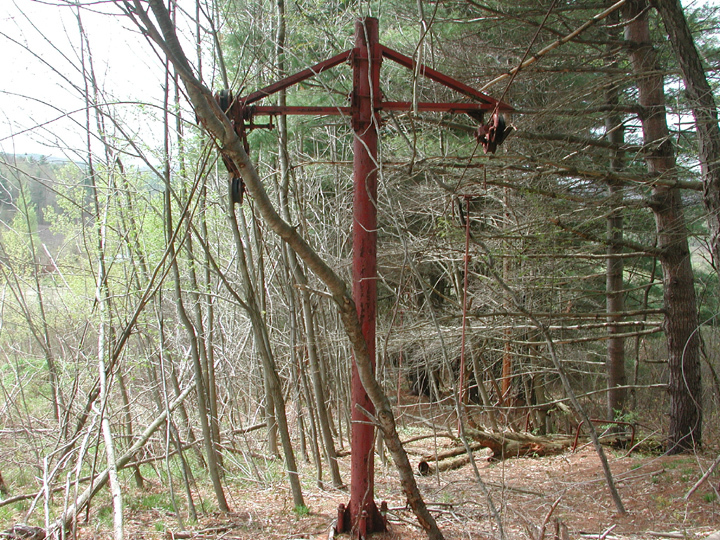 This lift served several new trails, and terminated just below a powerline. This trail map, from the 1961 Town of Ira Annual Report, shows the layout. 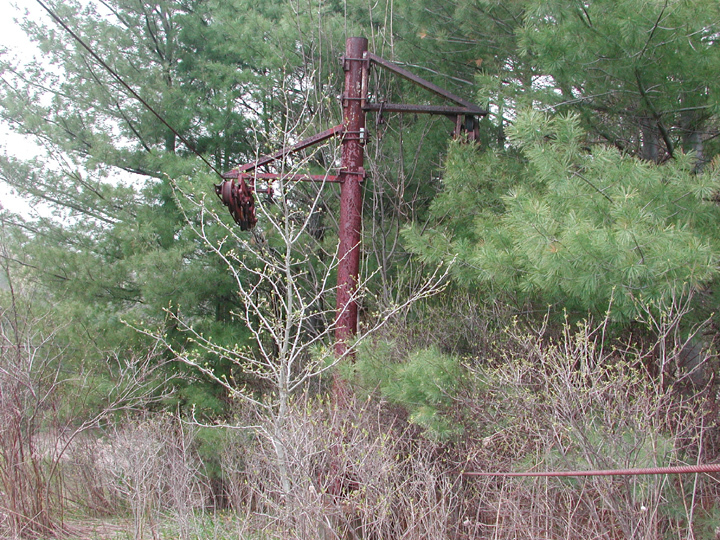 Note the jump on the left, and the short rope tow and original Stabil Disc Lift next to it. 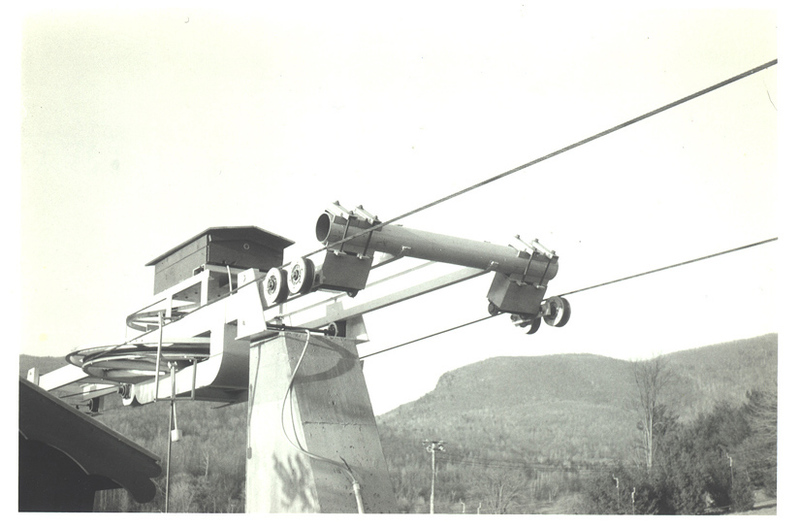 In the center, you can see the second Stabil Disc Lift, and the middle lift is a future T-bar in 1965. The upper lift and trails were never built. Click on image for larger version. Snowmaking was installed during those first few years, but was not needed very much, due to higher than average snowfalls. 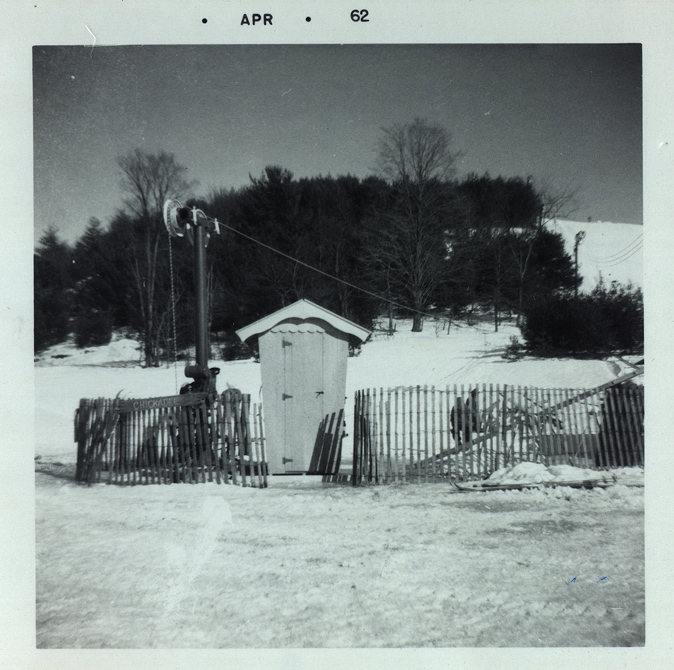 Snowmaking was mostly setup on the west facing slope served by the 750' disc lift. Night skiing was available on this sloep. 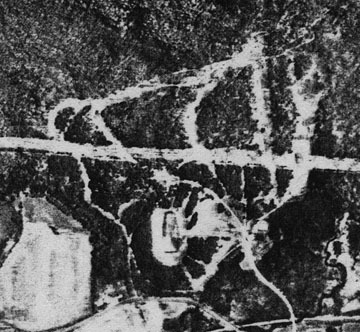 Plans for a summer operation were also developed, but never fully implemented. These included a Vermont style park, dedicated to the history of the state. 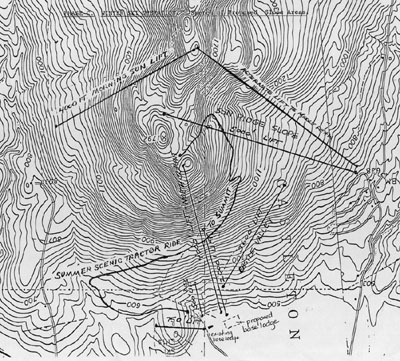 Shuttles to the summit of the mountain to another restaurant were planned but were not implemented. 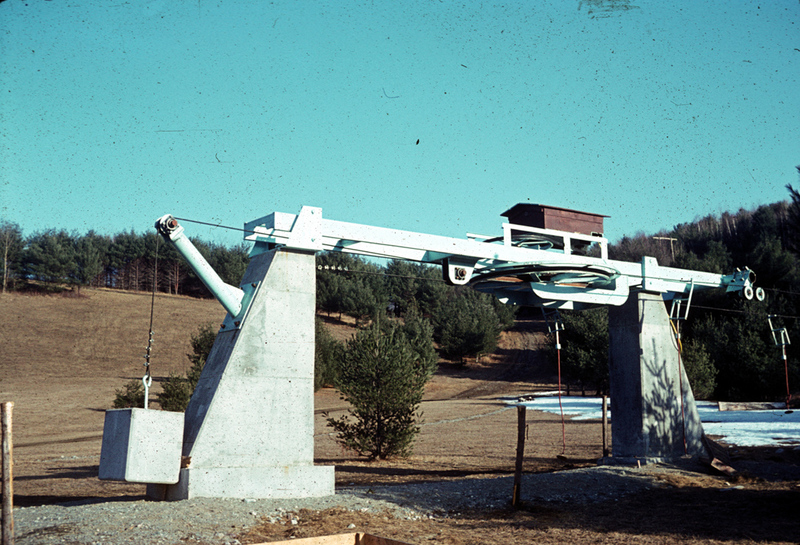 With all the good snow during the first few years of operation, the Board of Directors decided to build another lift in 1965- this time a Doppelmayr T-bar. 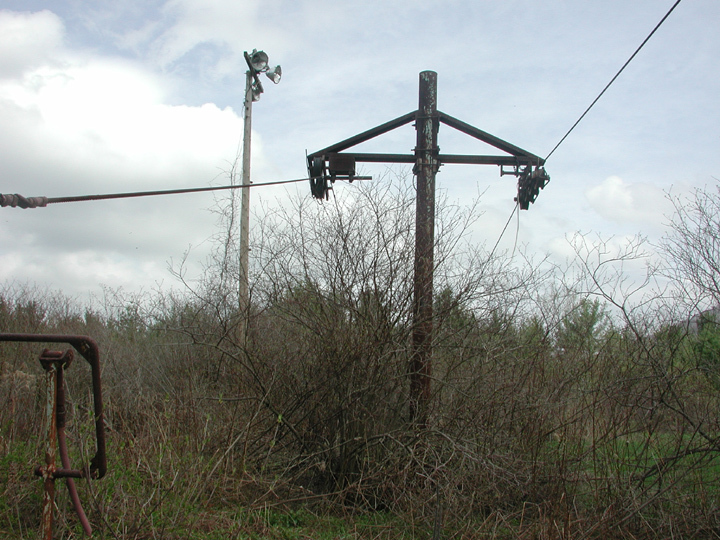 This was built above the powerline, and served several new trails. This lift was 1300' in length, had 390' of vertical, could serve 900 skiers per hour, and traveled at 500 feet per minute, giving it about a 2.5 minute ride. From the top of the T-bar to the base was about 500' of vertical. A total of 6 trails were now available for skiing. Unfortunately, building the lift went against the overall plan of the mountain. 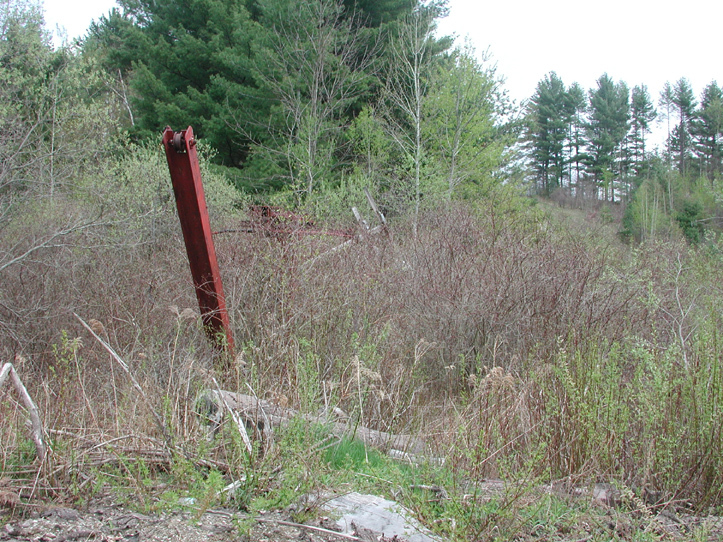 Bill Jenkins wanted all new trails to be covered by snowmaking, but the board decided to expand anyways, and Bill resigned. Accordingly, two bad snow seasons followed, and the area folded. 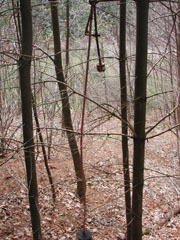 The T-bar was removed likely in the late 1960's or early 1970's. We are not sure where it ended up, but for all we know, still operates at another area! 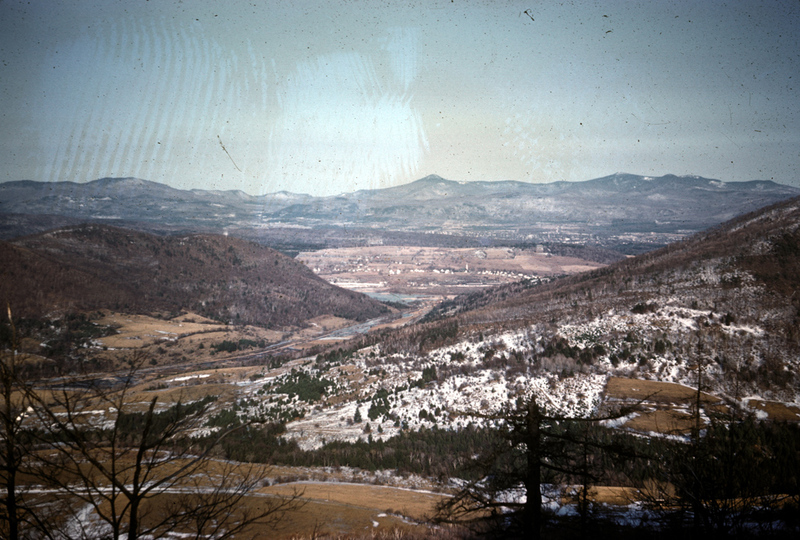 To the right is an aerial shot of the mountain, year unknown. 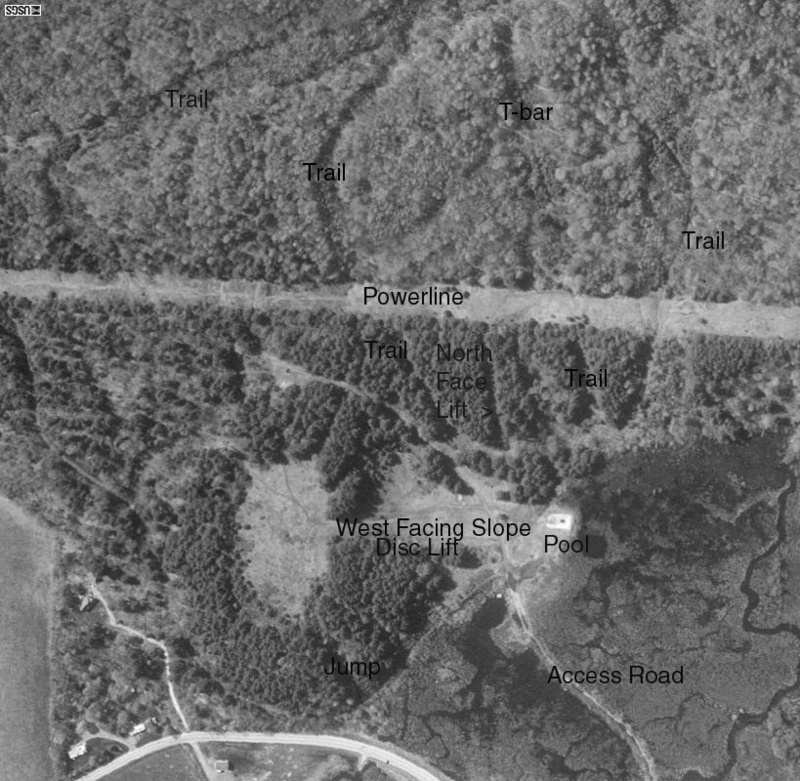 You can clearly see the powerline and the various trails. Click for larger. Birdseye did not go to waste just yet though. A camping area was built in the 1970's at the base area, including a swimming pool. Even though the pool was built next to wetlands (you'd think bugs would be a problem), the abundant bird population was able to control the mosquitoes. 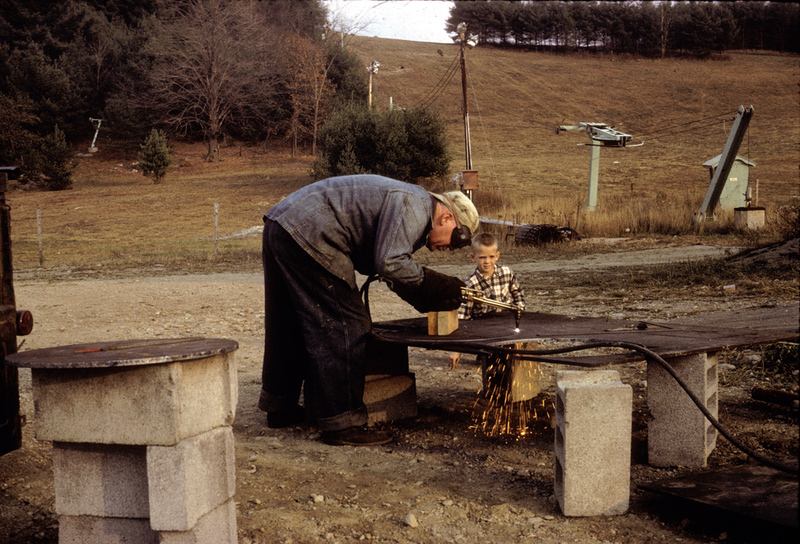 Don Sevigny and his father operated the camping area during the 1970's. 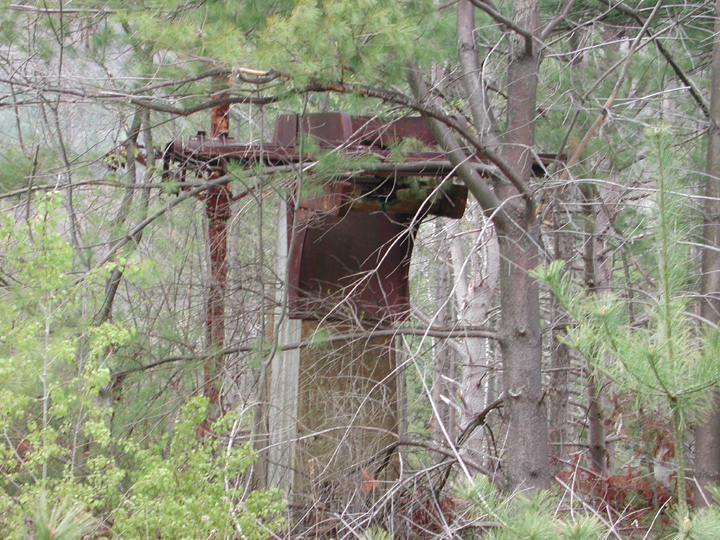 The original Stabil Disc Lift was left to remain on the property, while portions of the second disc lift were removed. 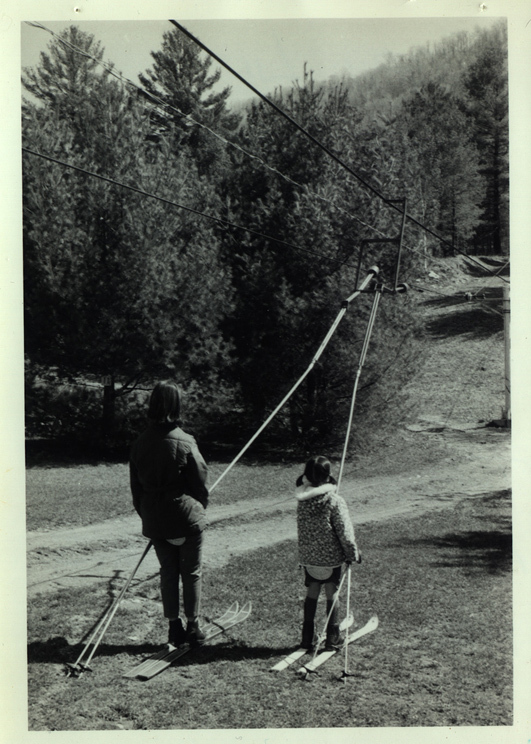 It is not known what happened to the rope tow during this time. 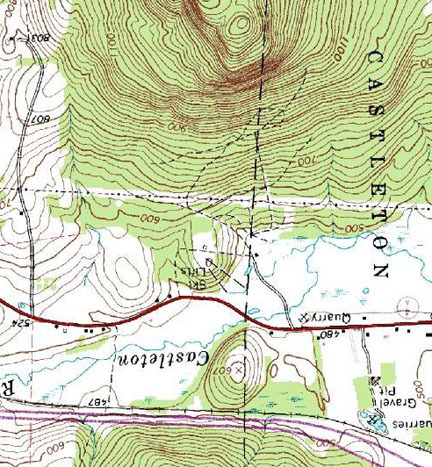 Most of the trails, particularly the upper ones, grew in fairly rapidly. Hang gliders frequently used the exposed cliffs to launch during the winter. 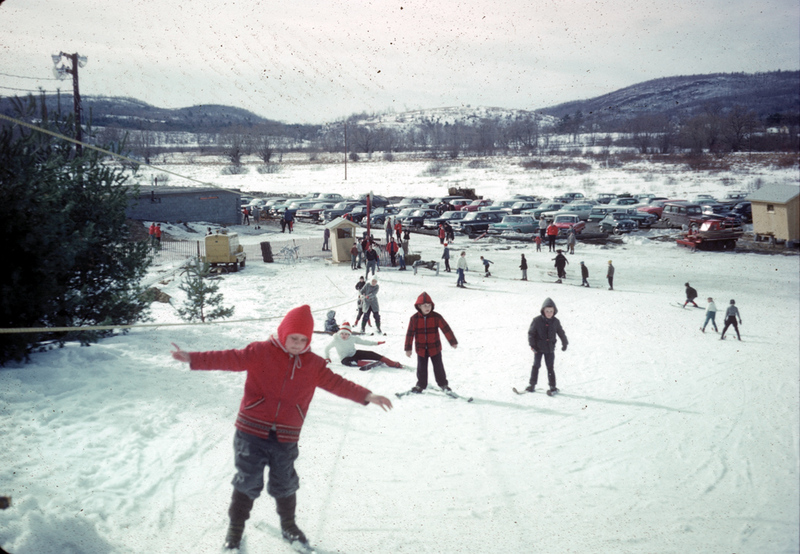 In the late 1970's, the area was bought by Donald Goldman, who also owned/operated Roundtop Ski Area. 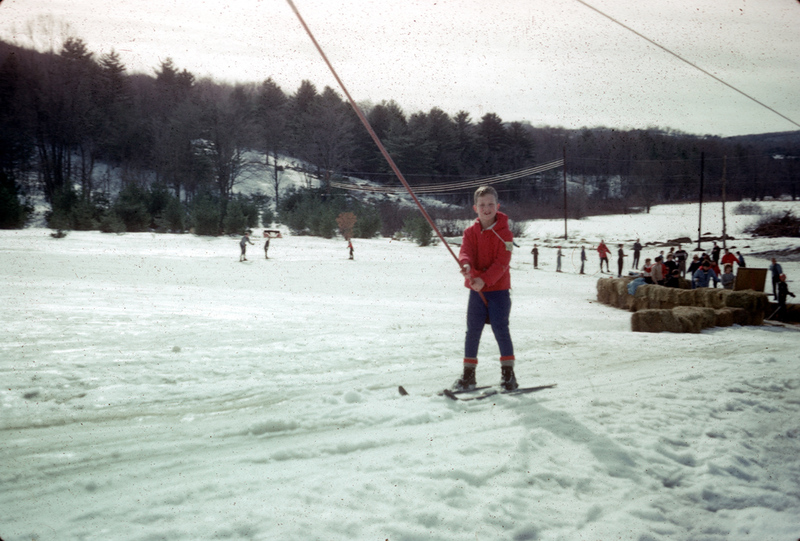 Bill Jenkins by this time was the manager and ski school director of Roundtop, and he started to work on plans to get Birdseye operational again. 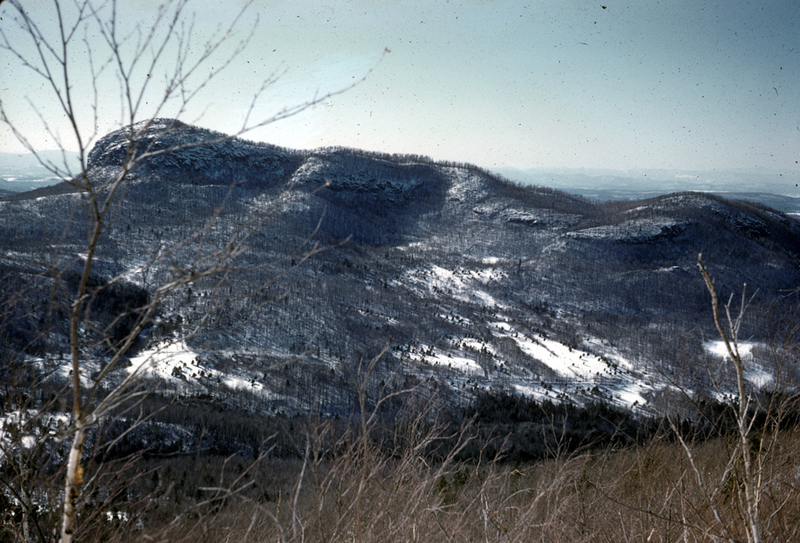 Unfortunately, Round Top had two back to back low snow years, and closed, and the plans were scrapped. 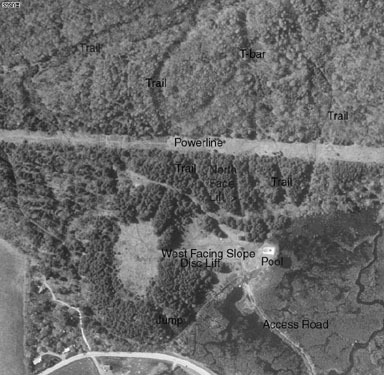 During the 1980's through early 2000's, the trails at Birdseye grew in, and some logging took place at the mountain. 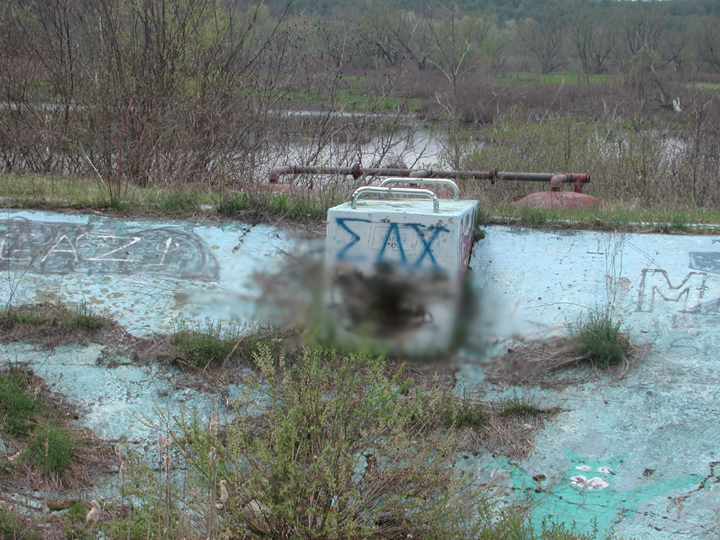 The base lodge burned down, and the camping ceased. 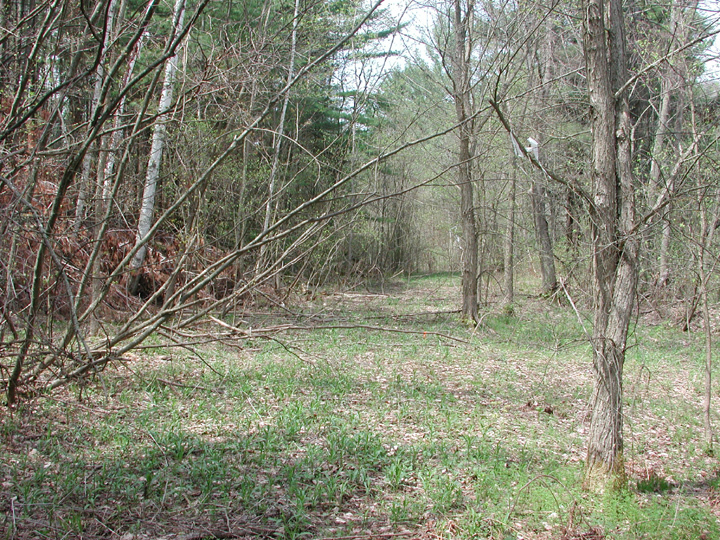 When I (Jeremy) first visited the area in 2001, the access road was flanked by trees, and was easily accessed. 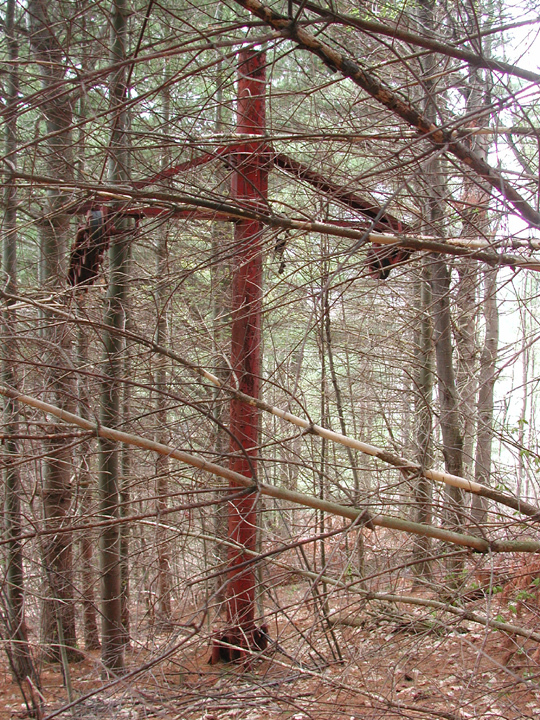 These trees were removed in 2003, and flooding took place over the access road, making it difficult to walk in. I visited the area in May 2003 and got a personal tour from Don Sevigny, and took many photos which are viewable below. To the left is an aerial view of the area in the early 1990's. I have labeled various features for you. Click on it for larger version. 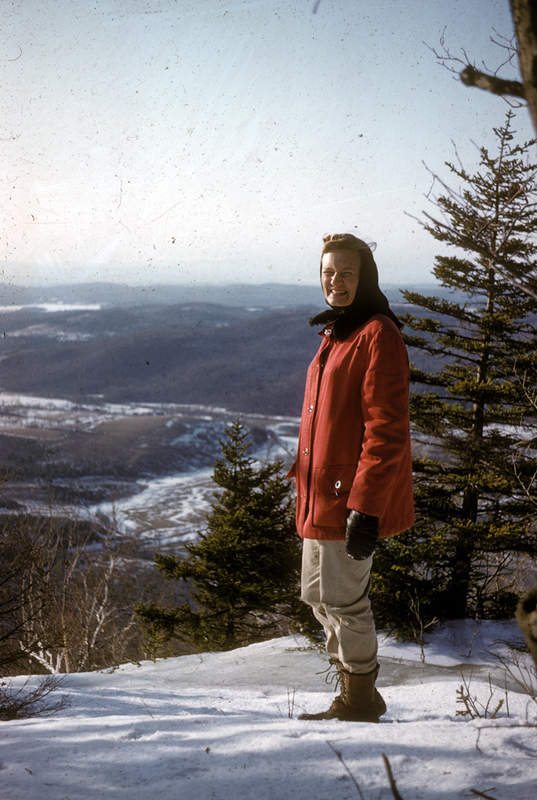 This mountain operation was started by me, and other persons from nearby towns, in 1961. 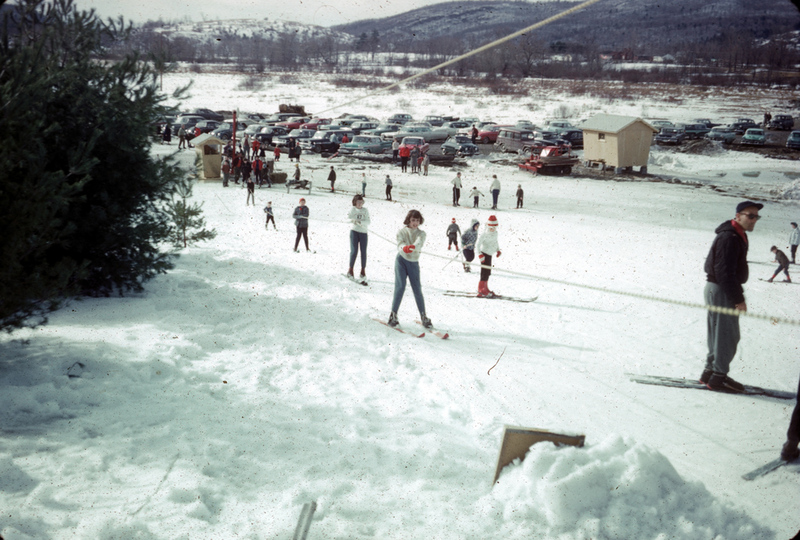 We wanted a nearby mountain for the students at Green Mountain College and Castleton College to have recreational ski lessons, and for race team practice, and ski meets. 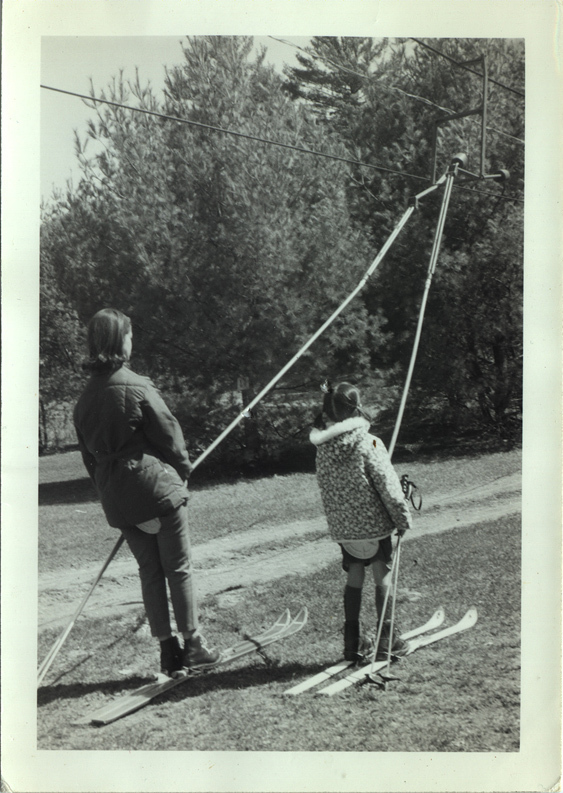 We also drew skiers from nearby towns, and from Rutland. My original plan was to develop a summer operation first. 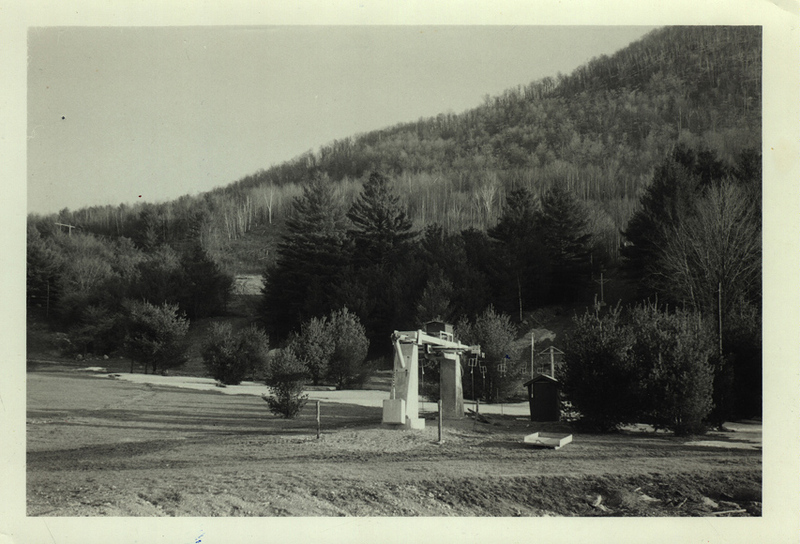 It was to be a theme park, called the Vermont Mountain Park. It would have featured early Vermont life and history. 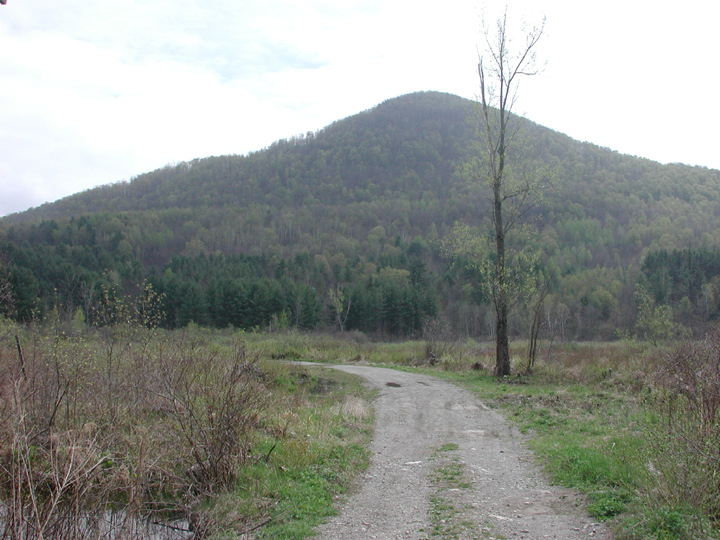 A road was to be constructed to the top of North Peak. Tourists would have been transported to the top via special vehicles with flotation tires, similar to BigFoot and Monster Trucks. 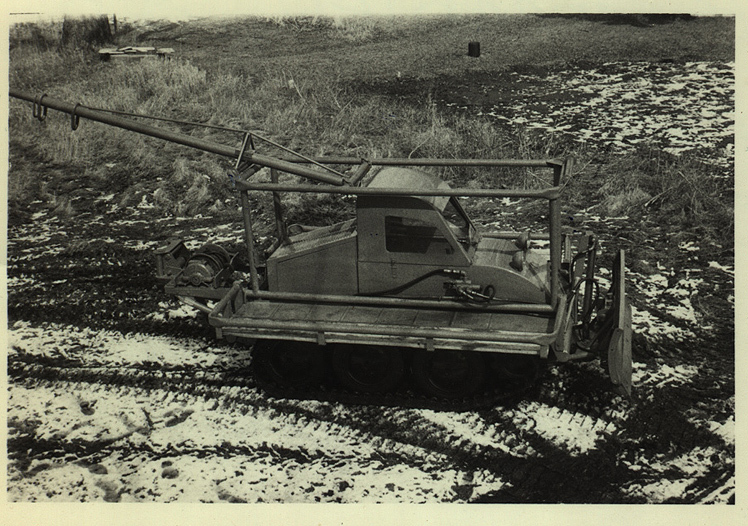 From the revenues, I planned to finance the building of the more costly winter operation. 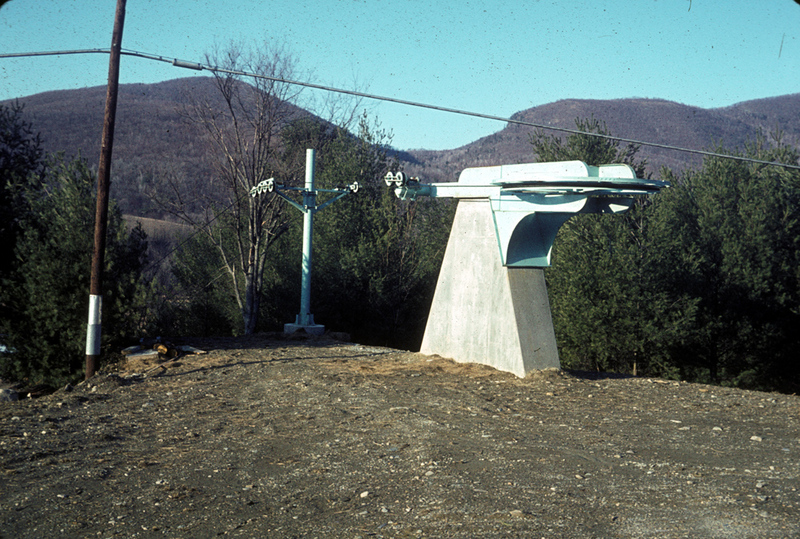 The winter design would have included a chairlift on the north face of the North Peak facing Rte 4. 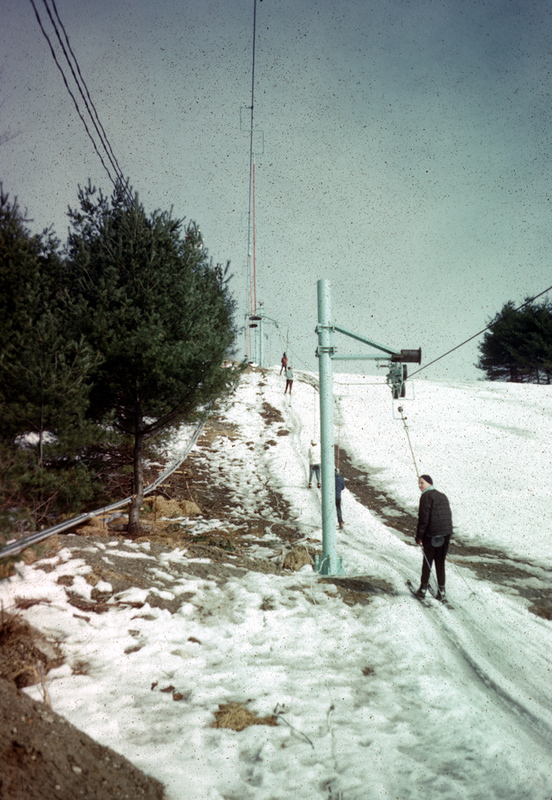 There would also have been chairlifts on the east and west sides of the mountain. All slopes would have snowmaking at there was unlimited water available from the Castleton River at the base of the mountain. This excellent mountain has a vertical drop of 1300'. Due to the topography of the mountain, exceptionally steep slopes are possible, as well as beginner and intermediate slopes of more than 2 miles. The terrain looks rocky, with some spectacular cliffs. 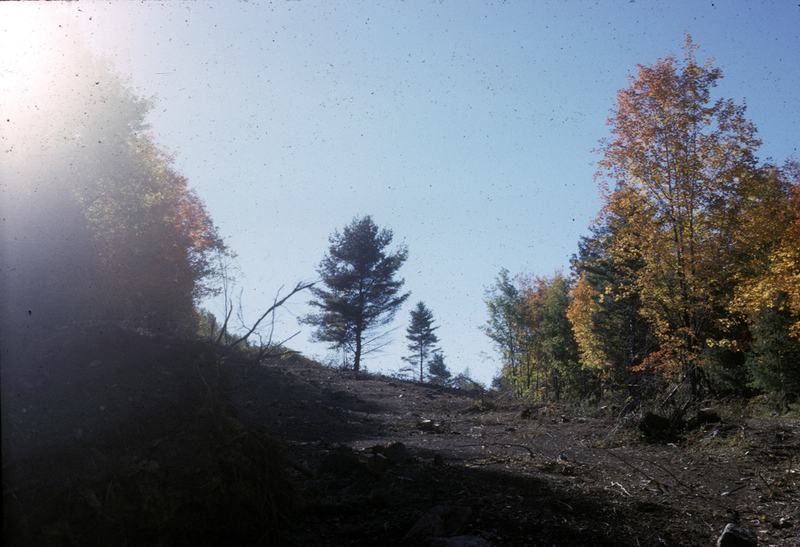 However, where the ski slopes would be located, there are very deep deposits of excellent earth for trail construction. 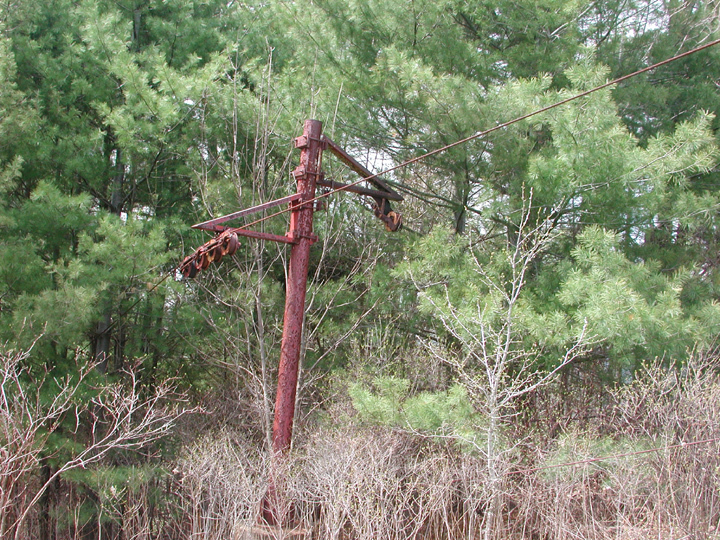 Incidentally, the big powerline cut was done just before we purchased the property. 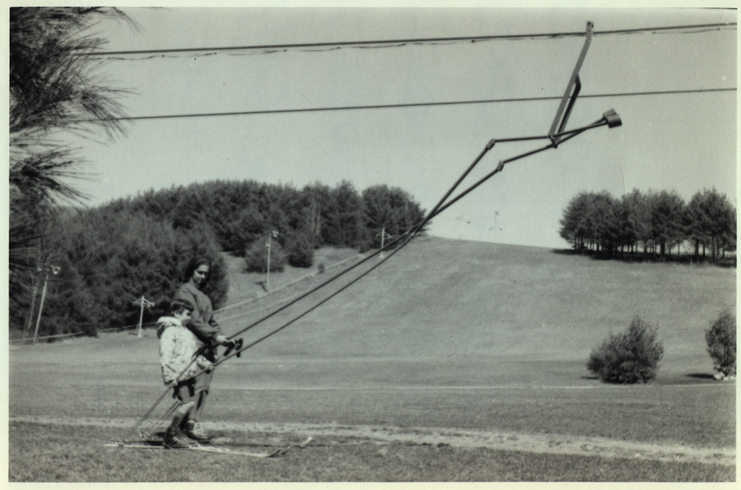 As a result, one chairlift would have gone through a tunnel under the powerline. 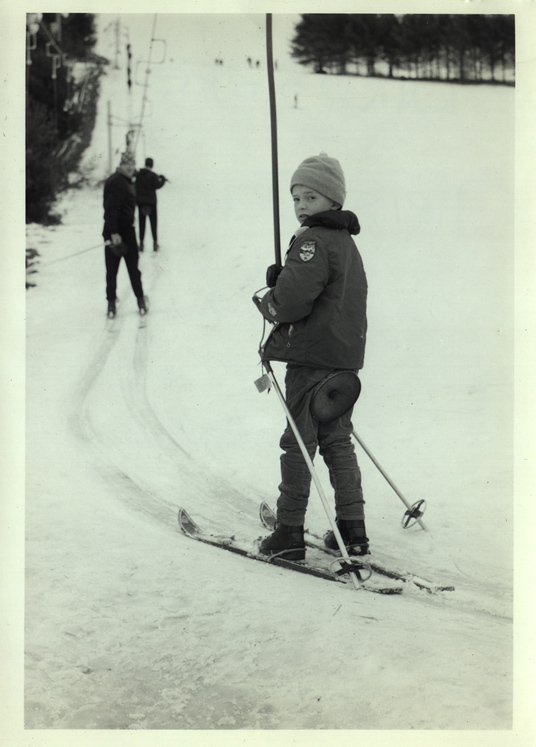 Unfortunately, my directors linked me so much with skiing, that they decided to go with the skiing operations first. This was understandable as skiing was really taking off, and there was an obvious need for more areas. 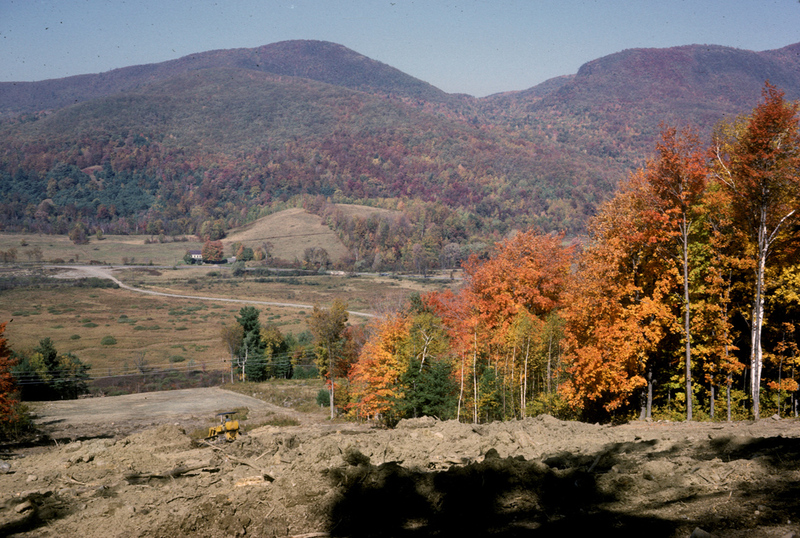 (Right- a view of the construction of the far western wide slope. Click on image for larger version). Consequently, we went ahead with the start of the ski area. 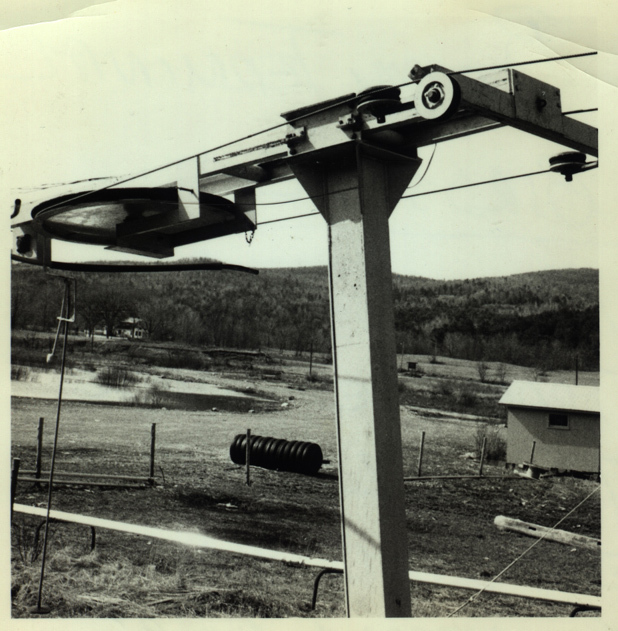 My friend Stan Whitney and I built two Stabil Disc Lifts, using our own design. 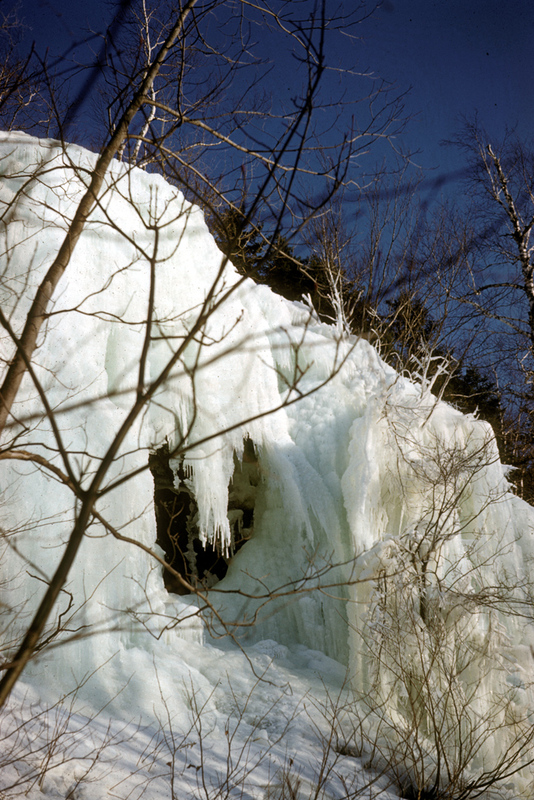 One was on the west facing slope, and one was on the North Face. 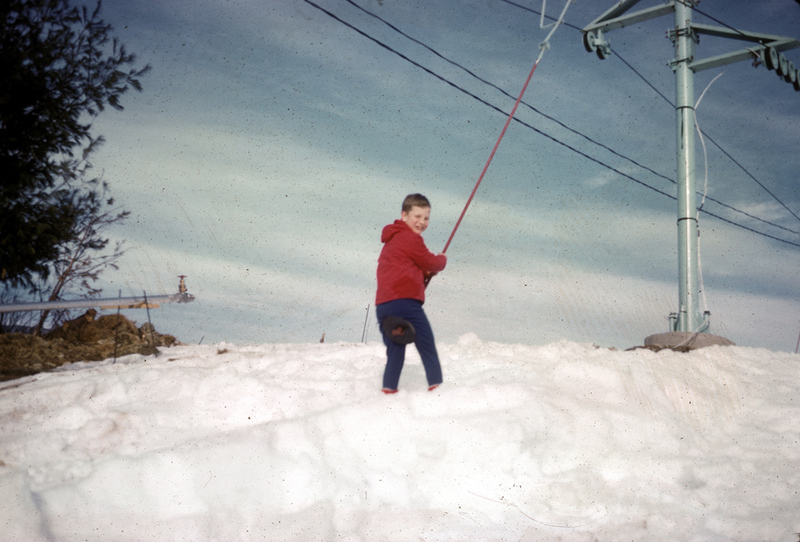 We had a small rope tow for the school, to the left of the west slope. There was also a 30 meter jump further to left. We installed a 10 snow gun system by Larchmont which worked very well. 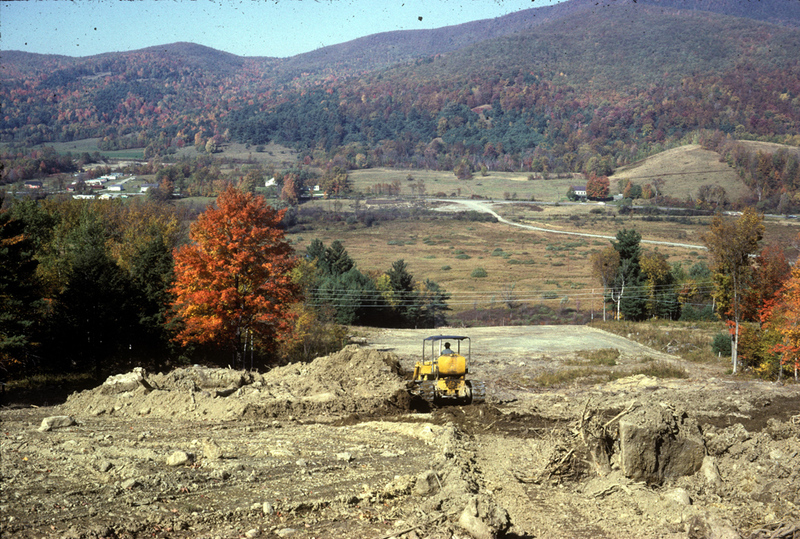 This was the 3rd in Vermont, after High Pond and Green Mountain College. 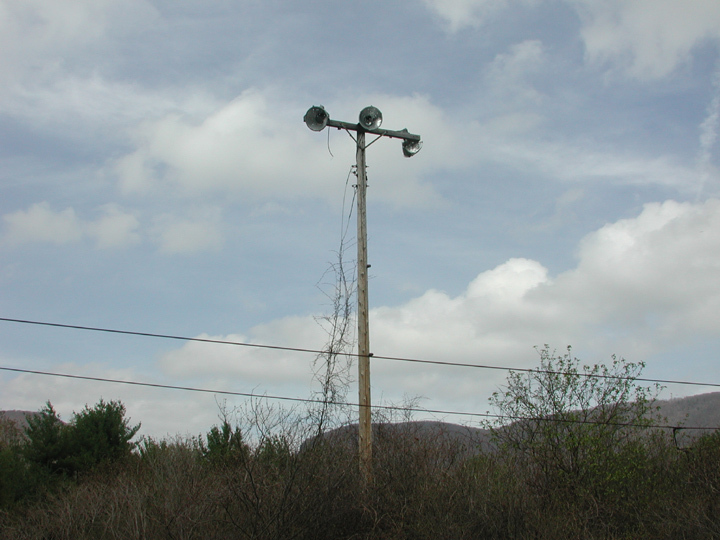 Many are surprised that Killington and Pico were much later to snowmaking. A very nice base lodge was built. It had a large open eating space and food service on the 2nd floor. This was entered from the slope using a stairless ramp. Toilets were on the ground floor, as were the ski and rental shops. 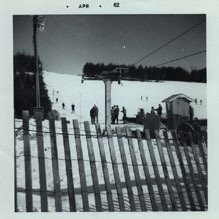 (Right- a view of the North Face Disc Lift, March 1965. Click on image for larger version). The area did quite well for several years with this limited operation. We built a large camping area for the summer tourists. This was very popular, and profitable. 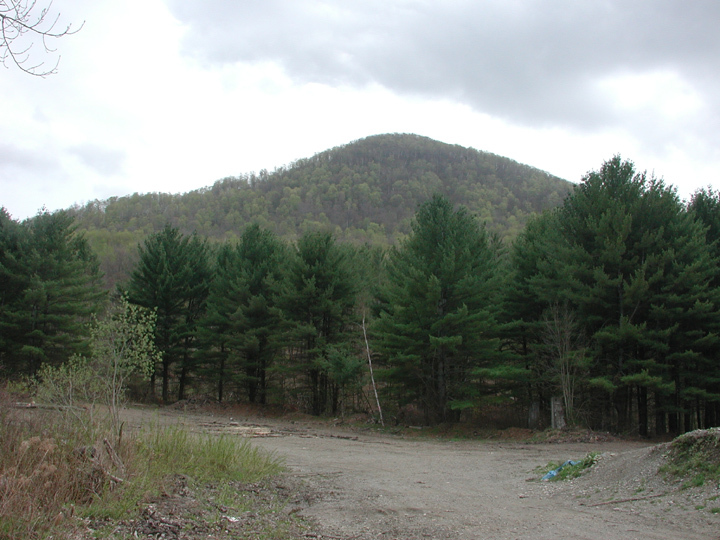 We also sold a number of homesites in a development at the base of the west side of the mountain. Then, a serious and fatal mistake was made. As unlikely that it would occur in such a poor snowbelt, Birdseye had two extremely heavy snowfall years, and the snowmaking was hardly used. (Right- a view of the rope tow and beginner area, developed April 1962. Click on image for larger version). As I had been operating the college program for 10 years at that time, I knew normal years would have little natural snow. That is why I insisted that the area never put in ski lifts without the slopes having snowmaking. 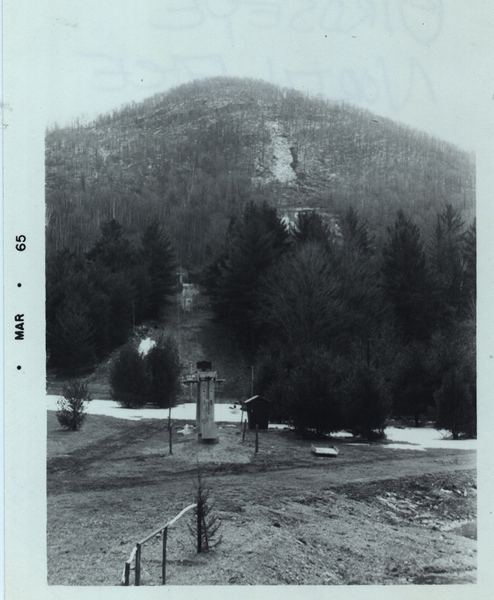 Without the river for snowmaking, Birdseye was not a logical place to build a ski area. 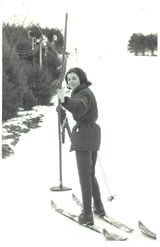 The mountain was ideal for ski terrain, but it had little natural snowfall. However, the two exceptional snowfall years got the directors excited about putting in a Doppelmayr T-bar to the halfway point on the North slope. This was an expensive move as it also required a great deal of slope construction. 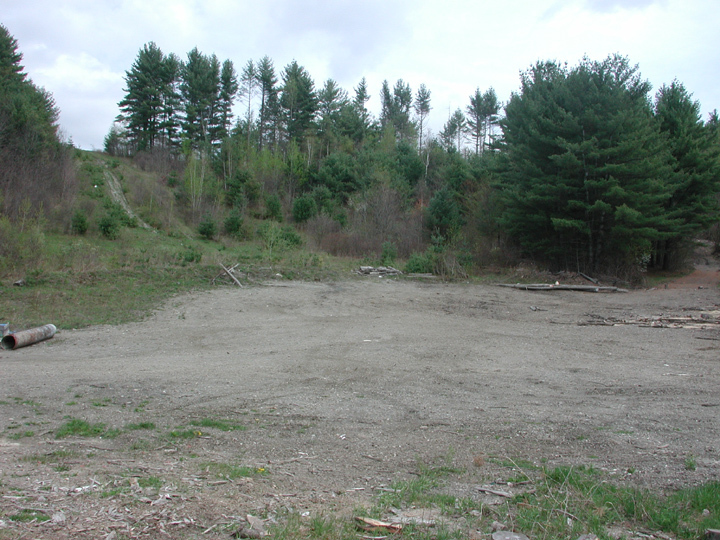 I reminded the directors of the policy of no lifts without snowmaking, but was not successful in pointing out that a large expenditure could be jeopardized, if we had the usual low snowfall season, and no snowmaking on the new lift and its slopes. I resigned over the issue, and they went ahead with the expansion. 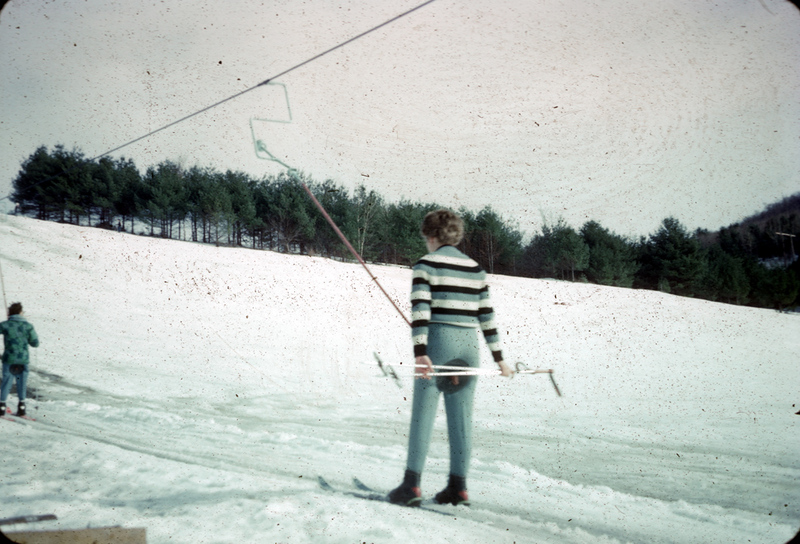 As might be expected, we then had several nearly snowless years, no snowmaking on the new slopes and T-bar, and the area went out of business. Another ironic situation also contributed to Birdseye's problems. We were still trying to raise capital through stock sales. 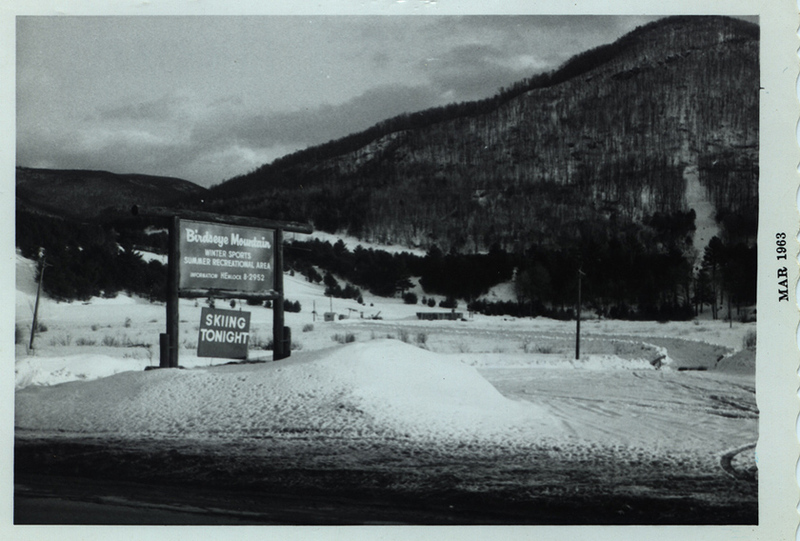 Killington was starting up at the time. 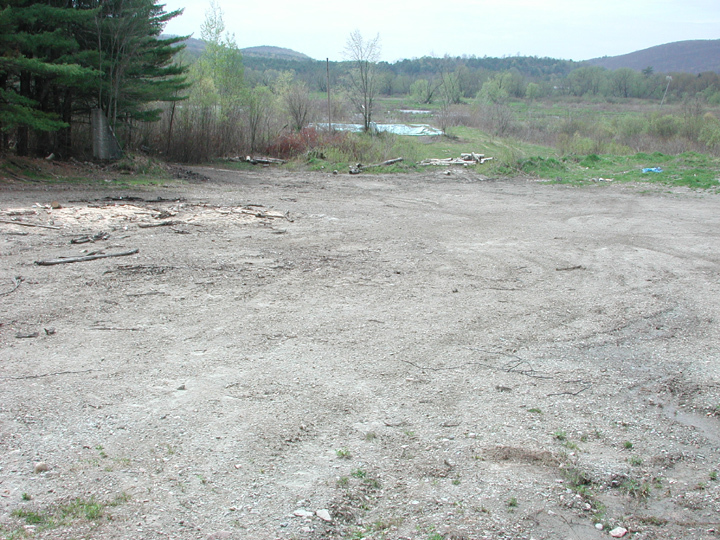 Local investors decided because Killington received so much natural snow, they would be better off investing there. Snowmaking wouldn't be needed up there. 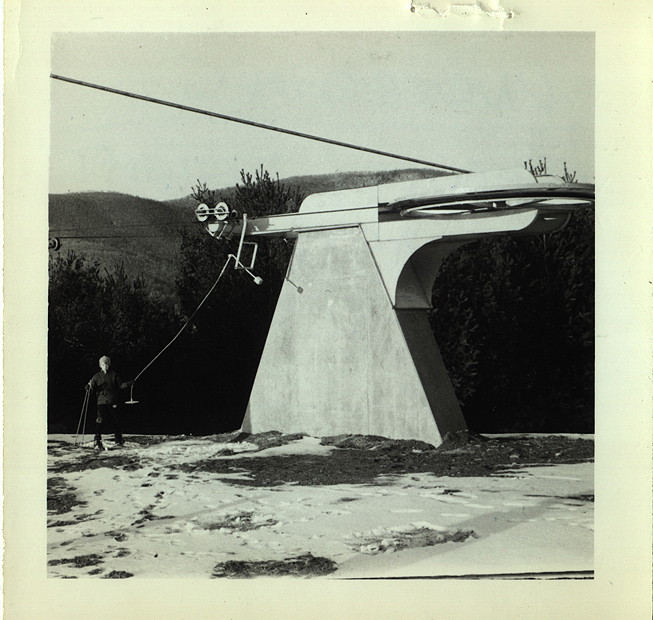 Of course, Preston Smith, Killington's founder, had seen our snowmaking system at Birdseye and the college. 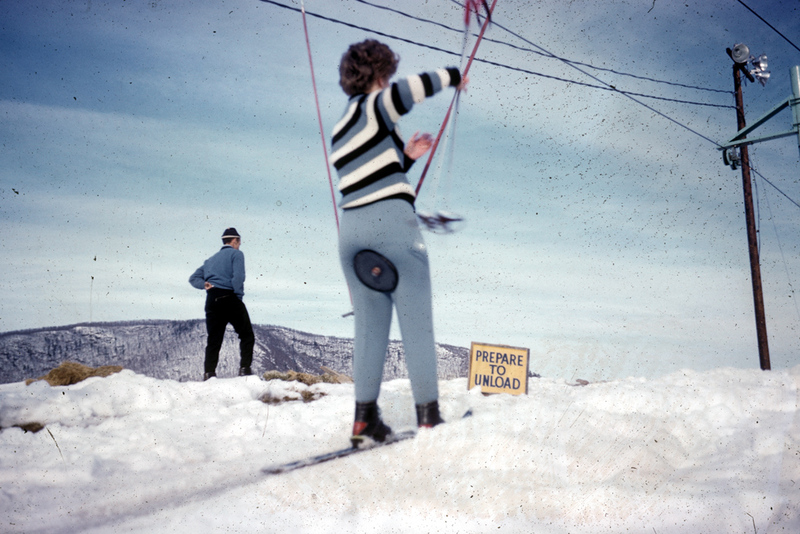 He was convinced, and proceeded to make Killington the biggest snowmaking operation in the country. 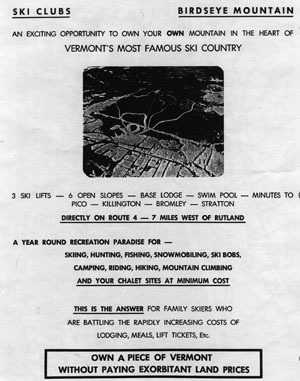 In the late seventies, I almost instituted my original summer operation for a Vermont theme park at Birdseye. 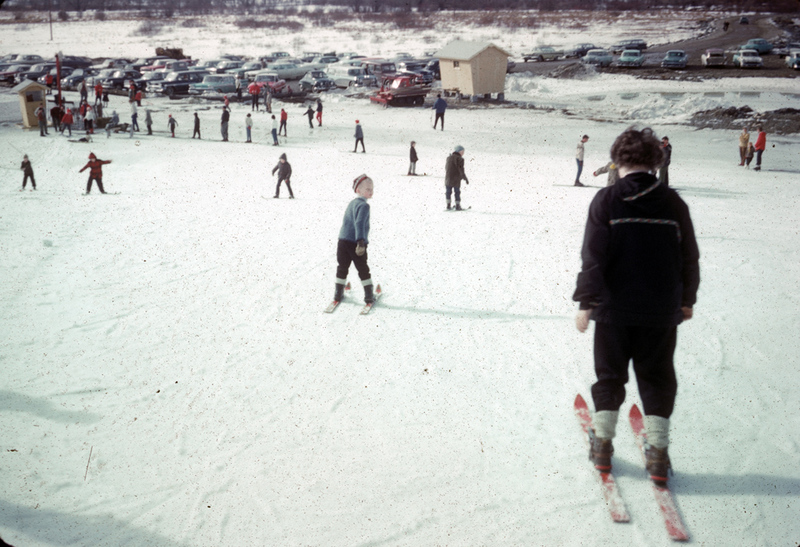 At the time, I was the manager and ski school director of Roundtop Mountain in Plymouth. 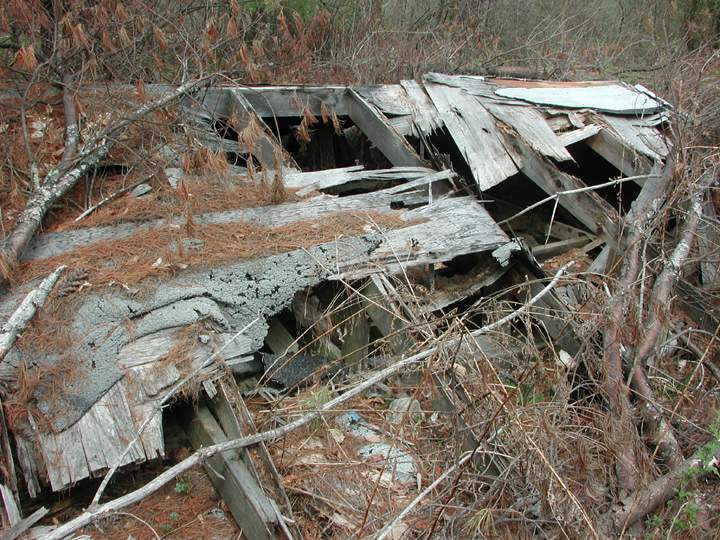 The owner purchased the Birdseye Mountain property. We planned to start with an Alpine Slide, and expand it into my original design. 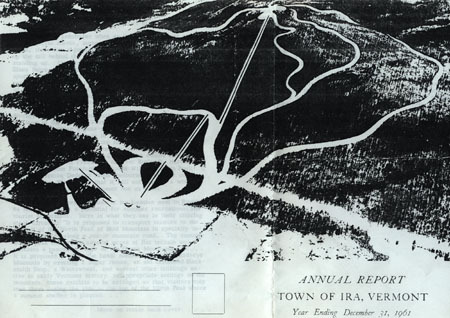 However, another nearly snowless winter nearly bankrupted Roundtop, which had a very limited snowmaking system, and that cancelled the Birdseye plans. I left Roundtop, and sold flotation tired tractors to ski resorts until I sort of retired in the mid 90's. 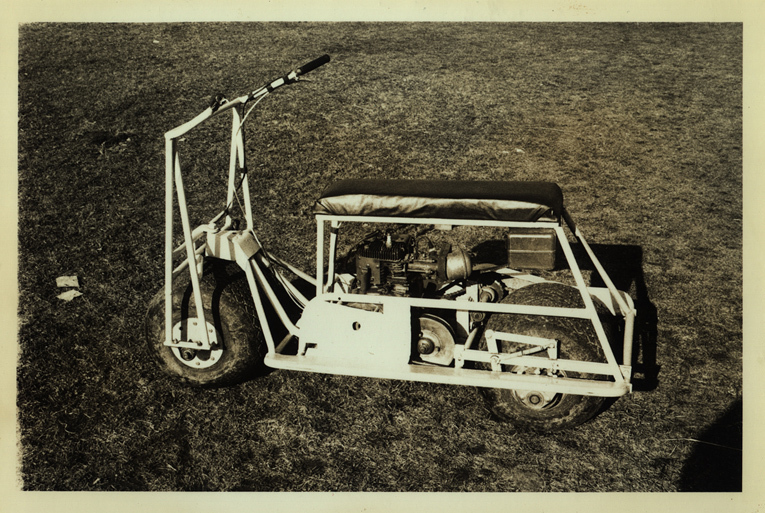 As you can perceive, I am somewhat a compulsive inventor/innovator, and am still at it. 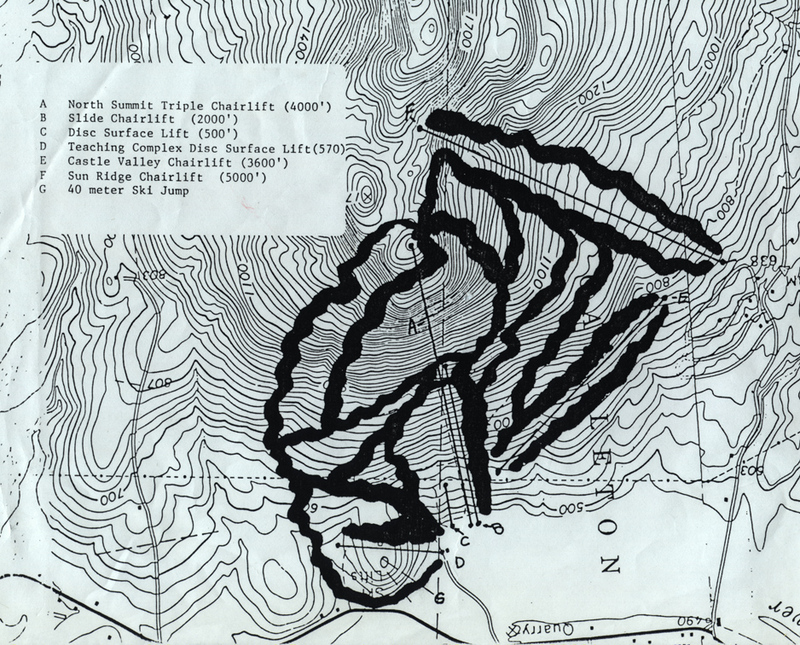 (Right-one of Bill's plans for the mountain's revival, late 1970's, showing the alpine slide. Click for larger version). Trail construction. Moderately steep trail. 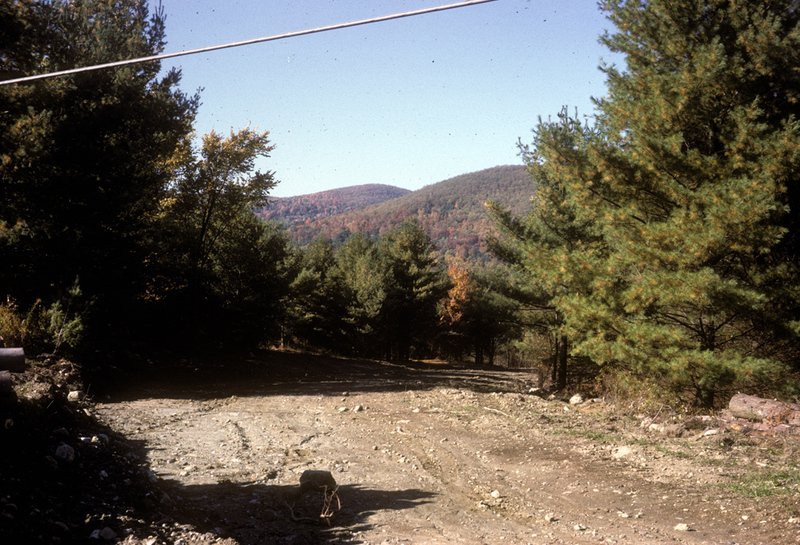 Far western slope, with access road visible. 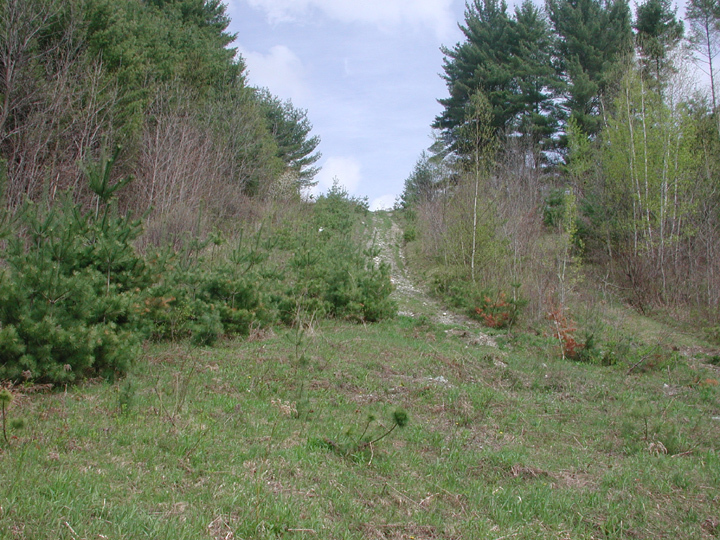 This slope was very gentle and was about 100-200' long. Note the parking lot in the background. 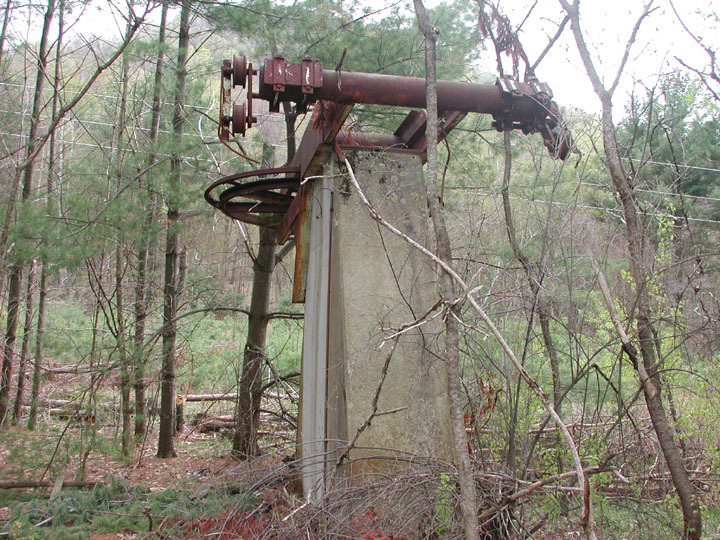 The west facing slope stabil disc lift was 750' long and had a vertical of about 150'. All comments on black and white photos are from Bill Jenkins. West slope with night skiing Birdseye gravity retraction eliminates need for loader and no danger from string retrieval T-bar or poma type cushioned loading. Top terminal birdseye west slope. Bottom terminal birdseye. Roller I built from used truck tires. 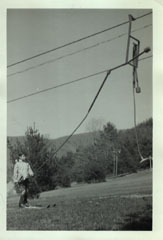 Later used extensively by Killington and others. Chris Jenkins, son of Bill Jenkins. A youngster rides the lift near the base. Riding the lift and loading area. Riding the lift, also shows wide open slope. Shoveling snow onto the lift. Note how the second lift has not been built, base would be in the upper middle. Near top of lift, lights are shown. Getting ready to unload! 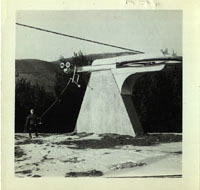 Note snowmaking pipe. 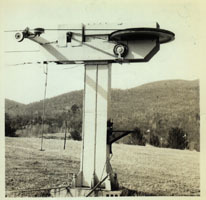 The North face Stabil Disc Lift had one and two person carriers, and was 600' long, with a vertical of about 100-150'. All comments for black and white photos are from Bill Jenkins. North Face Stabil disc lift Base of north face March 1965. Bottom terminal North Face Stabil Disc Lift, restaurant. Base of the North Face lift, also shows west facing slope. Top of the lift. Bombardier S5 Work Vehicle and snow packer I made this ATV for getting around Birdseye Mountain hauling trailer I built to carry hay at Birdseye A welder works at the base. 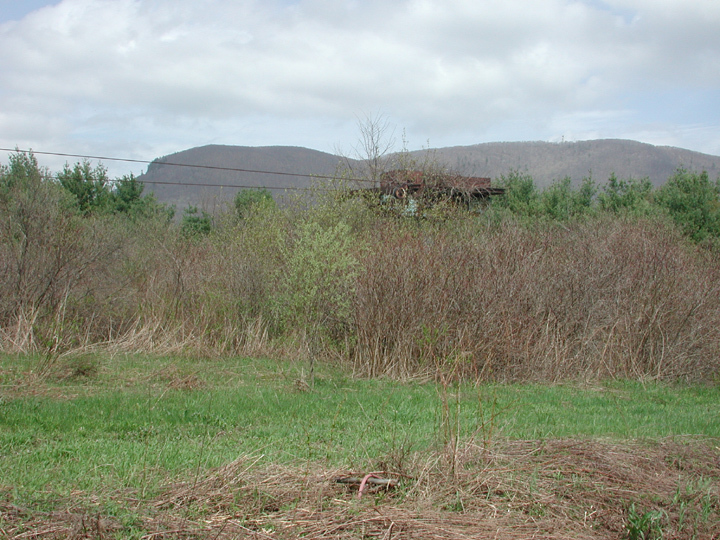 Beginner slope and west facing slope in background. A waterfall near the mountain. A view of the nearby valley. Near the top of the mountain. 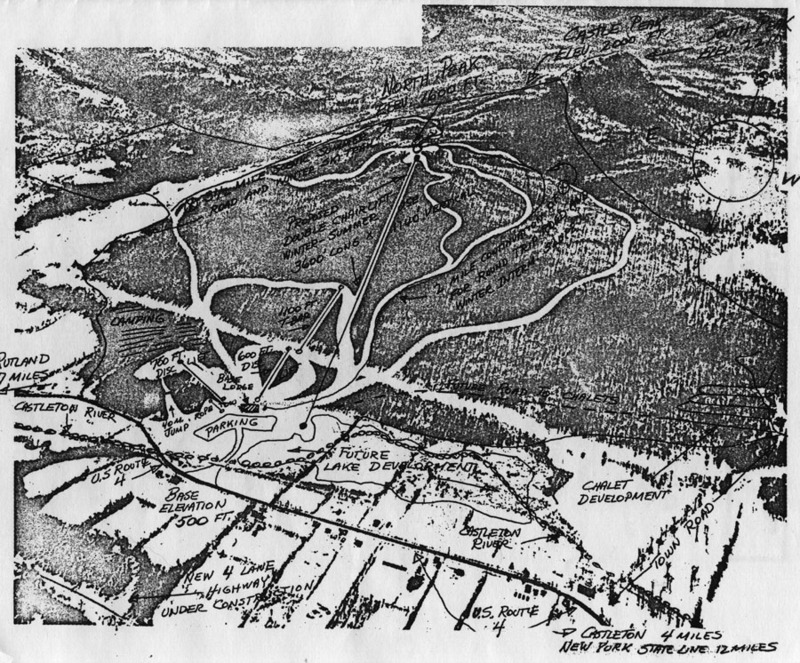 This plan called for trails and lifts to be built to the summit, including a 4000' summit triple lift. Click for larger version. Another plan, but this one called for an eastern facing "Morning Sun lift". Click for larger version. This plan shows a summit expansion, with all the lifts and other features labeled. This may have been from the 1960's. Click for larger version. Recent Photos - click on each for larger version. From a distance, the mountain has almost no visible trails. From just off Rte 4A, the road looks clear - but was flooded a short distance away. This is the base area, looking up to the top of the mountain. Base area. 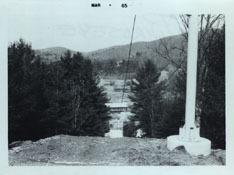 Pool in background, and foundation of lodge in upper right. Diving board on pool. Larger view of pool. 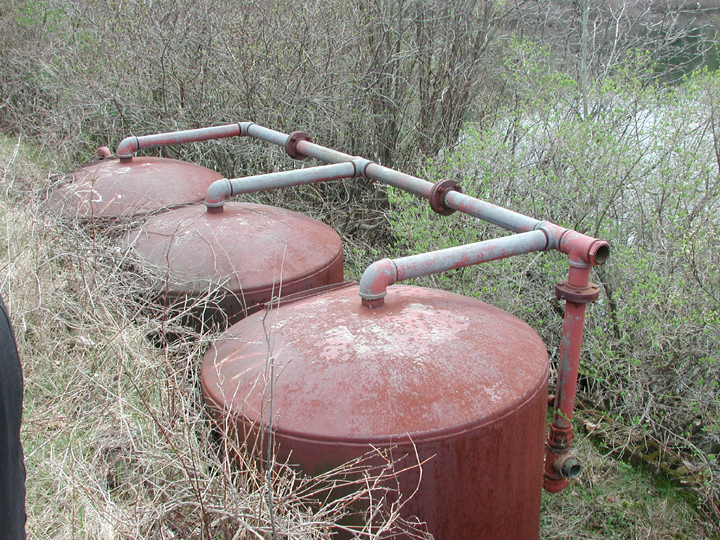 Filtration tanks of pool. 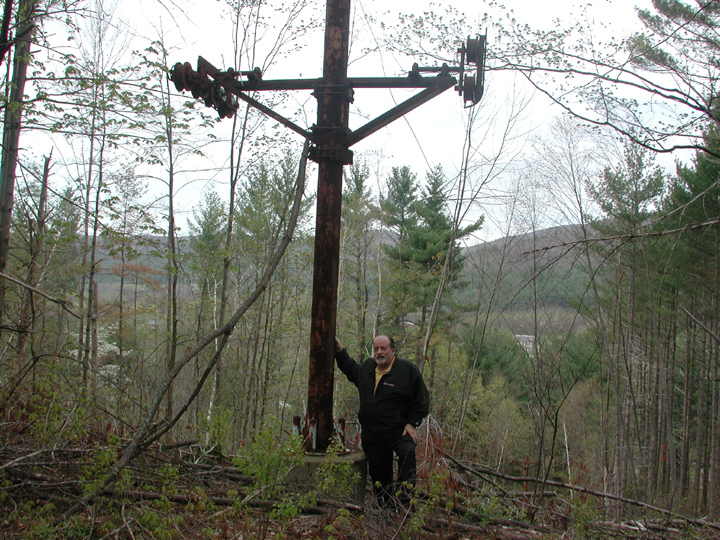 This lift is amazingly intact 42 years after it was installed! 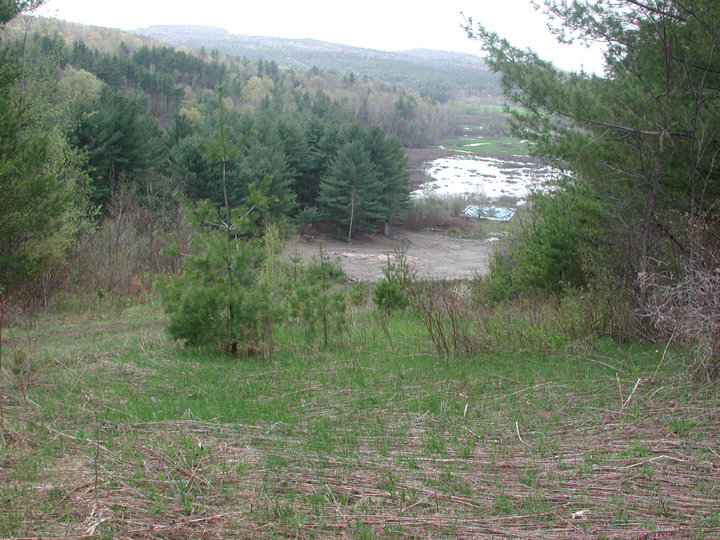 However, the west facing slope is growing in rapidly and was tricky to hike up. Drive and summit return on the lift are very grown in. 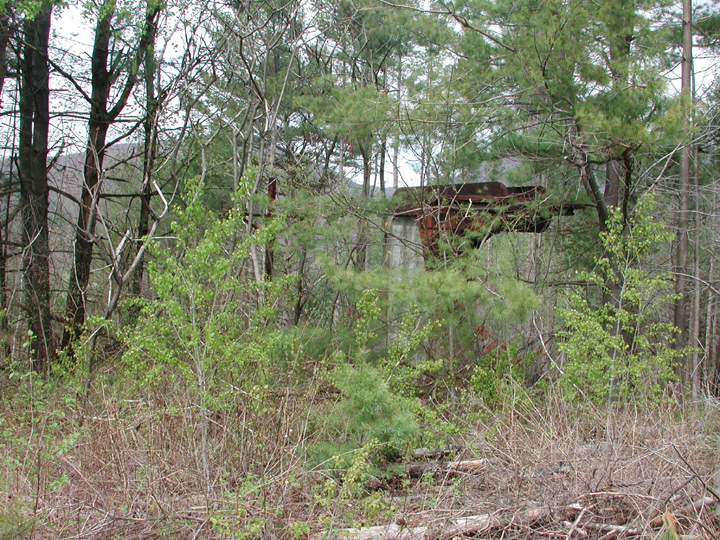 Looking up the west facing slope, quite overgrown. 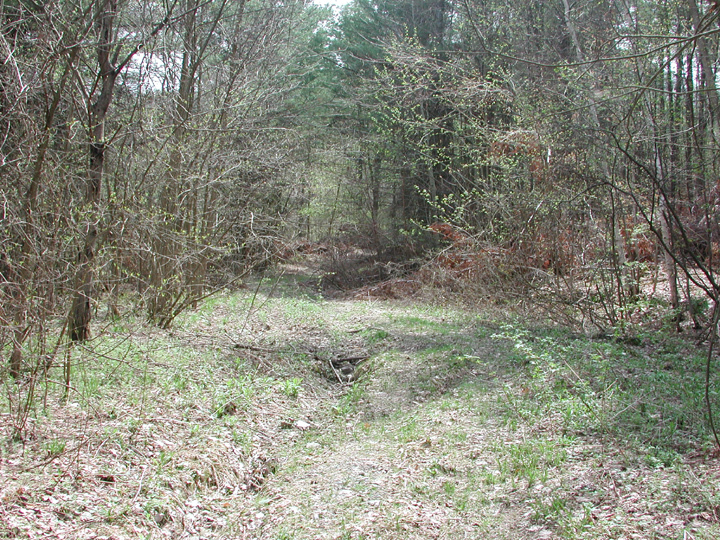 An eroded road is visible up the slope. 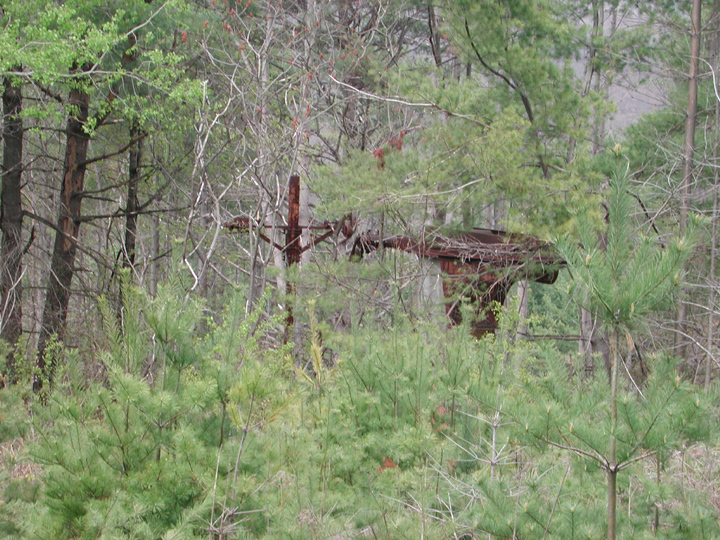 The base drive is in the brush, trust me! 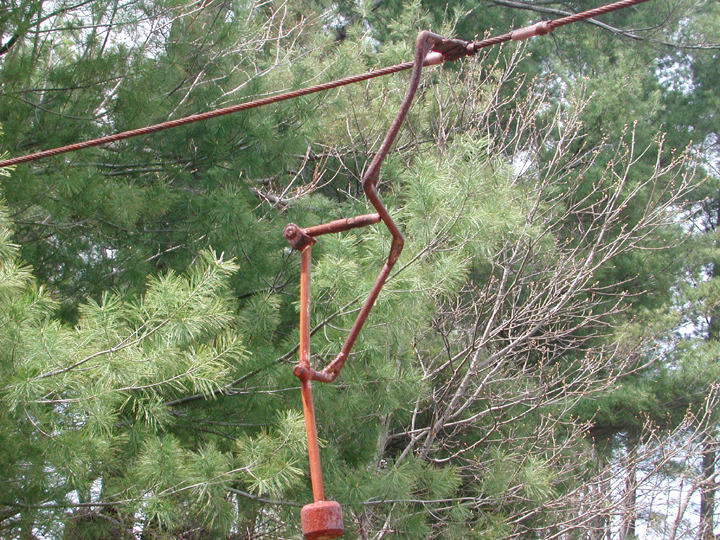 Snowmaking brackets near the base of the lift. A lower lift tower. Another tower. 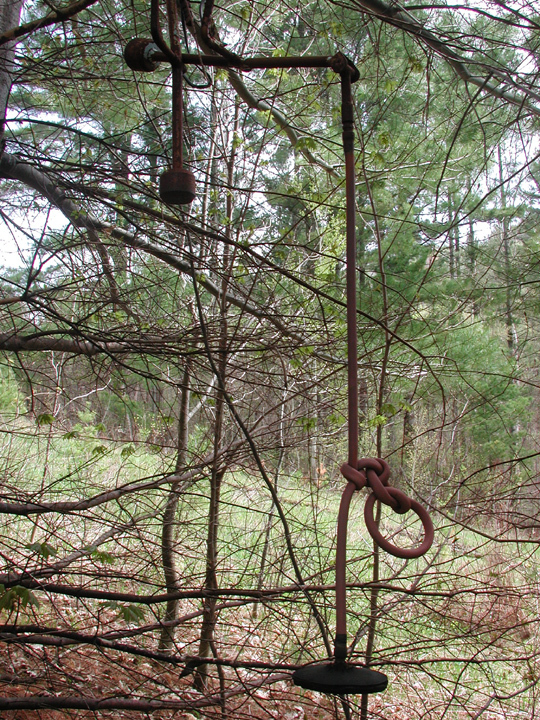 A carrier still hangs, but tied in a knot. Its been there for 42 years! A more intact carrier. Grip aparatus. Grip in more open area of slope. Transformer and lights. One of the top towers. Don Sevigny walking near the top of the lift. One of the top towers. Looking down the slope to the base area. Bullet ridden lights still stand 36 years after the area closed. Final tower on the lift. 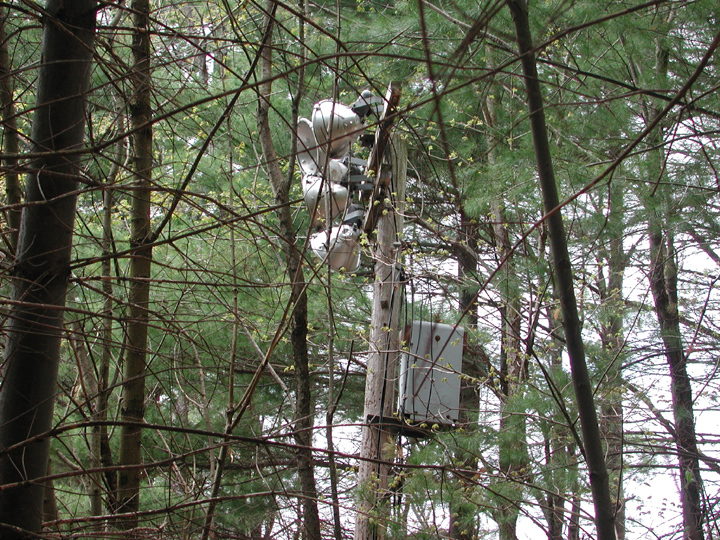 The return station is in the brush, trust me! 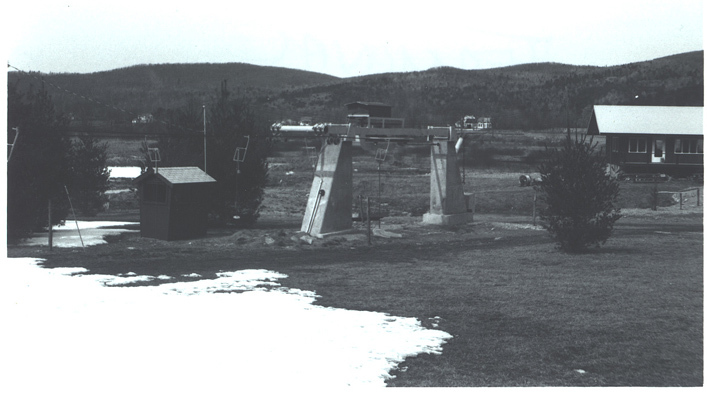 The North Face lift has the base cement foundations still standing, along with a few towers. The summit return is also standing and in good shape. The cable and carriers are long gone. Base of the lift. 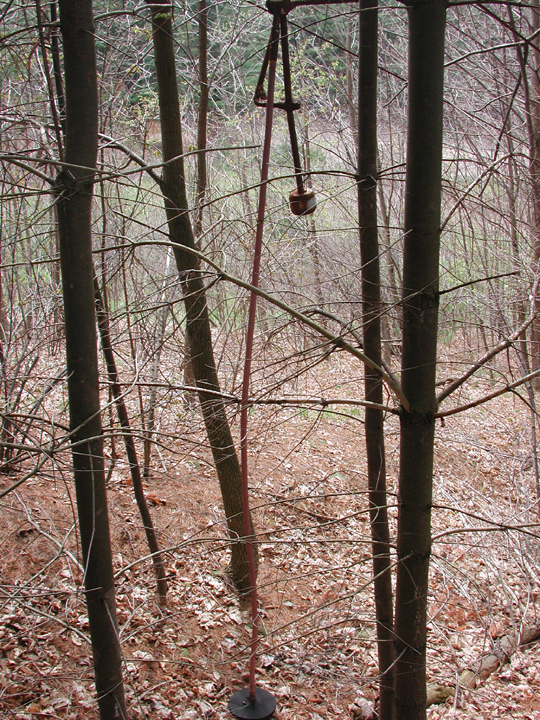 Liftline disappears in the woods. Don Sevigny stands at the top tower. Unloading area. Top return. Top return. Top return in the brush. Another shot of the top return. 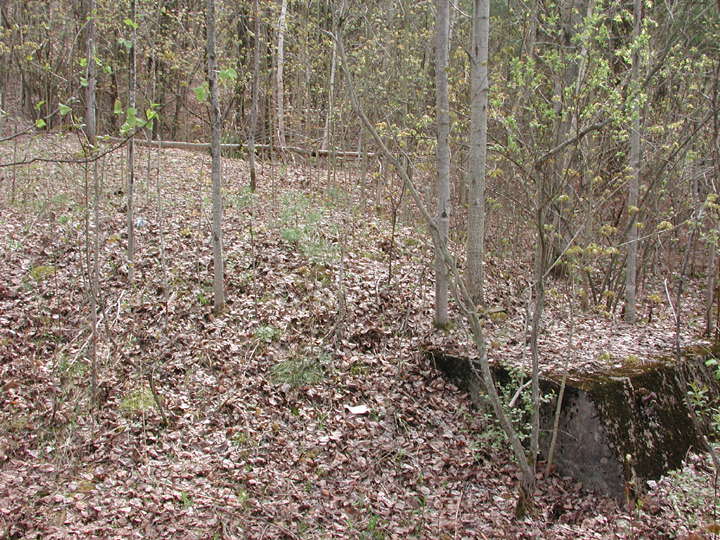 While the T-bar was removed long ago, foundations and the lift line are clearly visible, at least in the fall-spring. 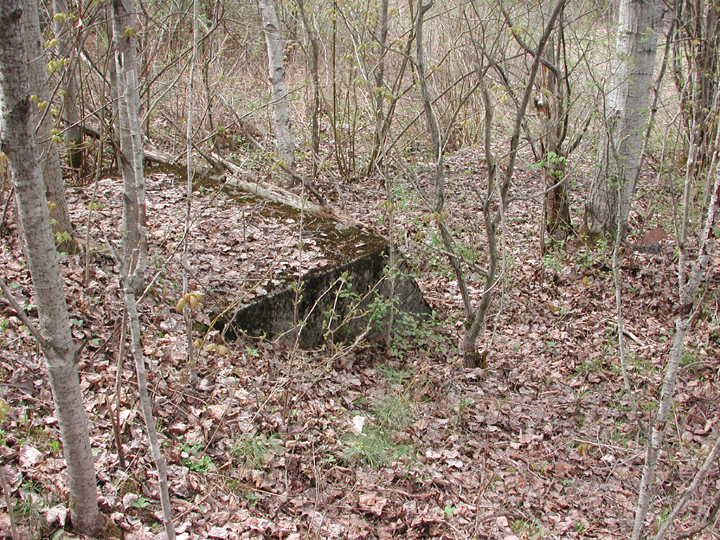 More of the base foundation. Lift line - still fairly clear. 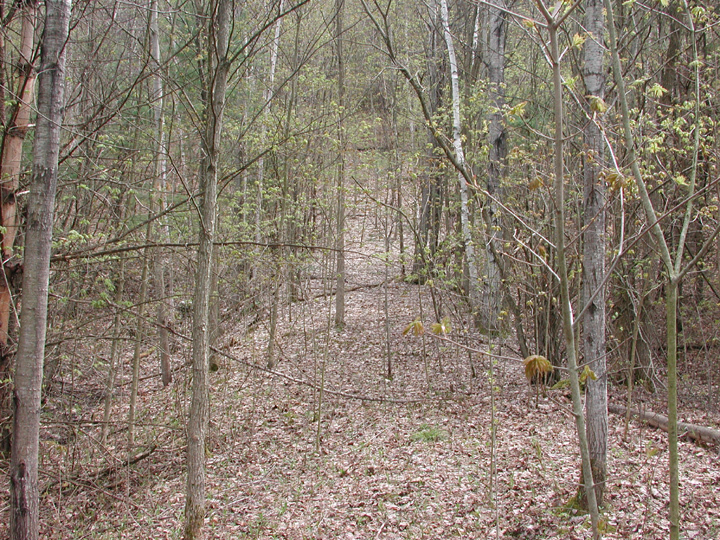 A trail on the eastern edge of the ski area. Another view of that same trail. 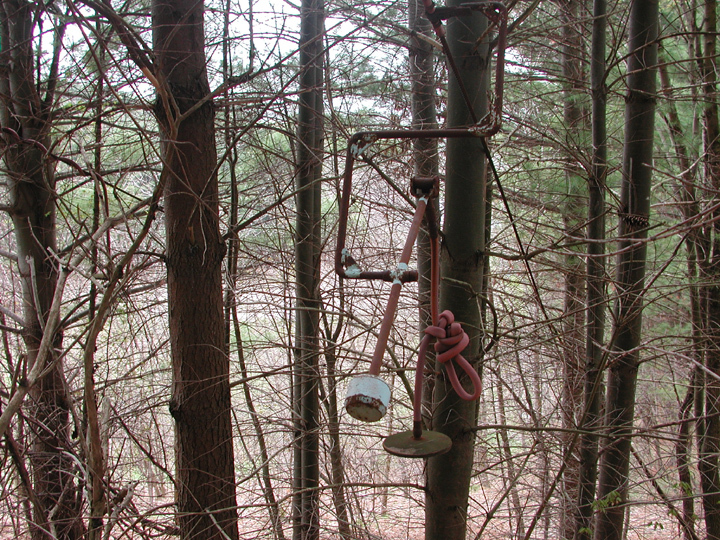 Old showers for the campground on the trail just east of the North Face Stabil Disc Lift. These pictures here provide some of the best comparison shots from the 1960's to 2003. They all appear above as well. Click on each for larger version. 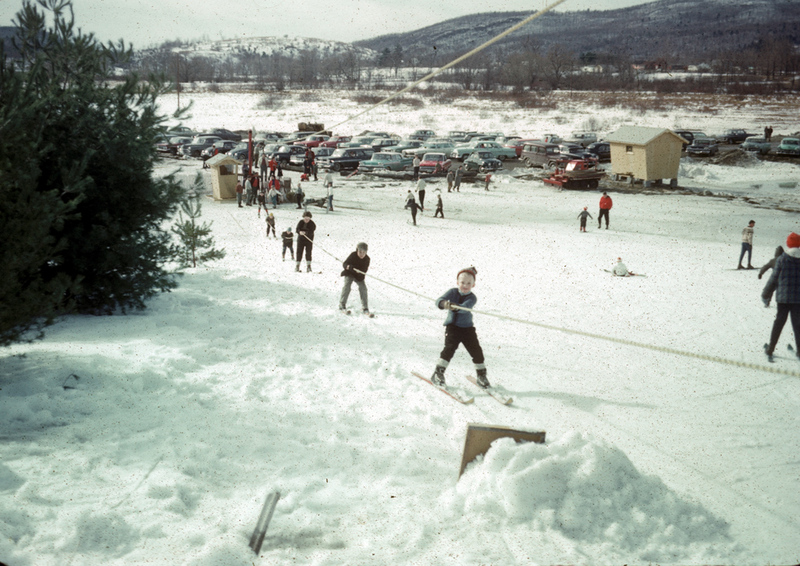 Base of North Face Lift early 1960's. Base of North Face Lift 2003. 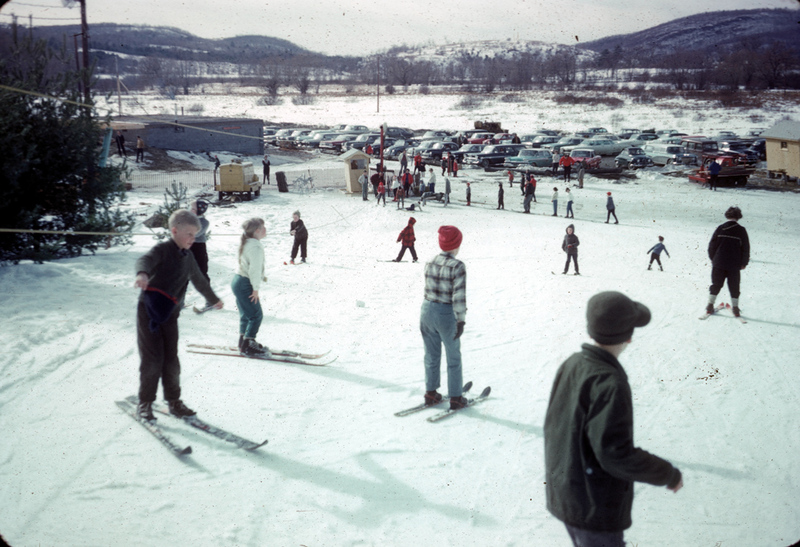 Top of North Face Lift early 1960's. Top of North Face Lift 2003. 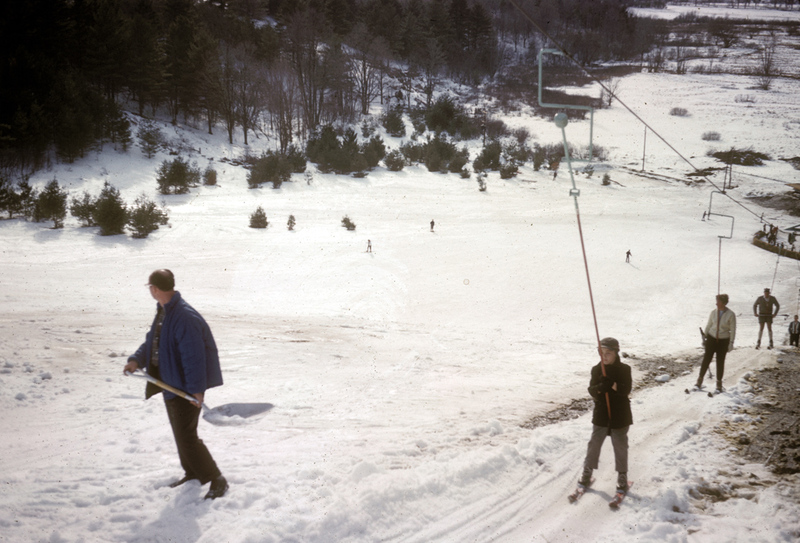 Final tower on North Face Lift 1965. Final tower 2003.